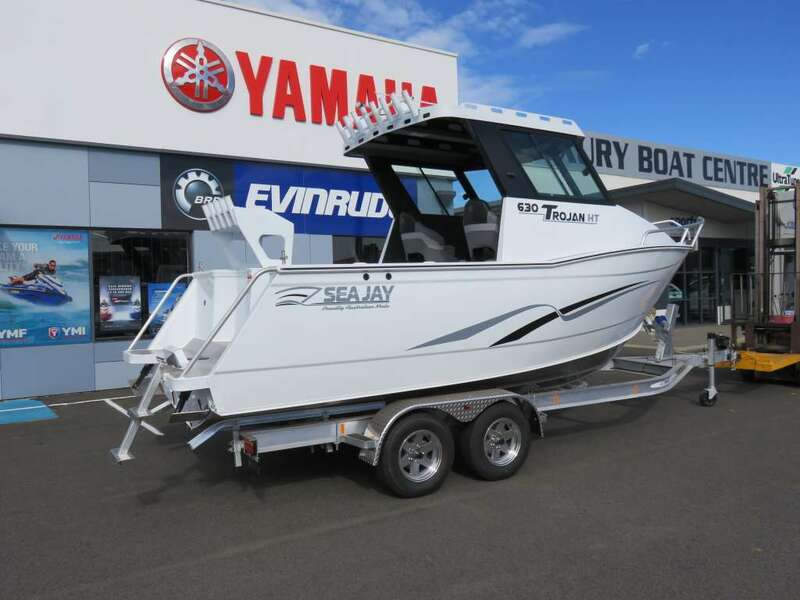 All new model release from Sea Jay and how awesome is it !!!! 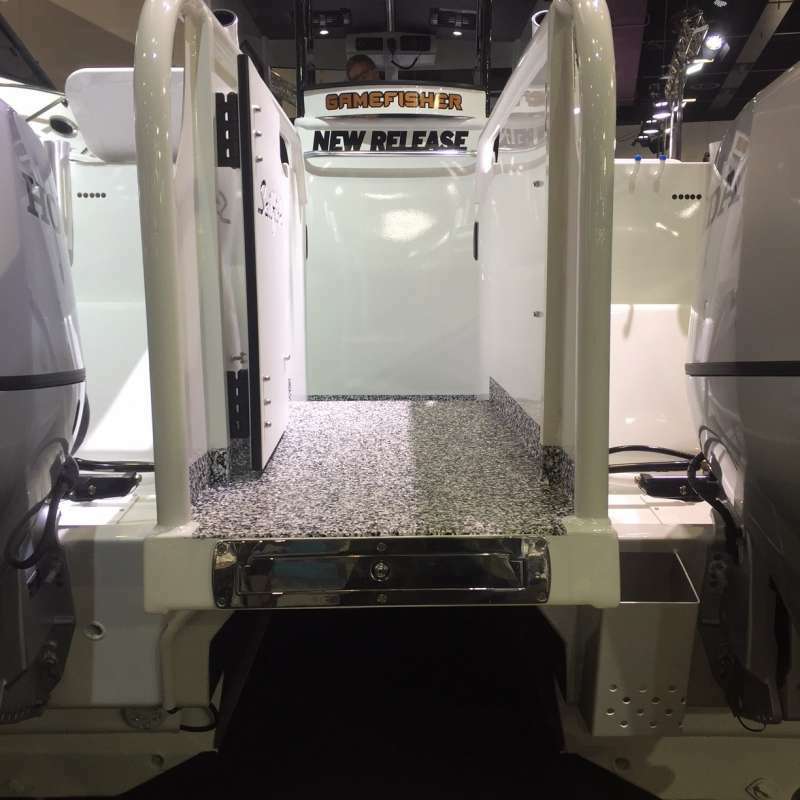 The 550 Velocity Tuff Deck. 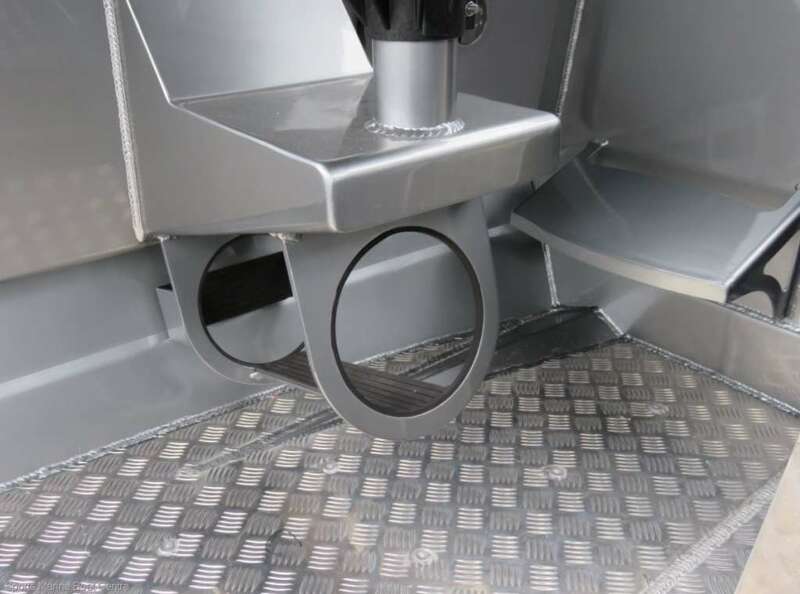 Featuring a fully welded in checker plate floor, meaning no timber flooring with carpet. 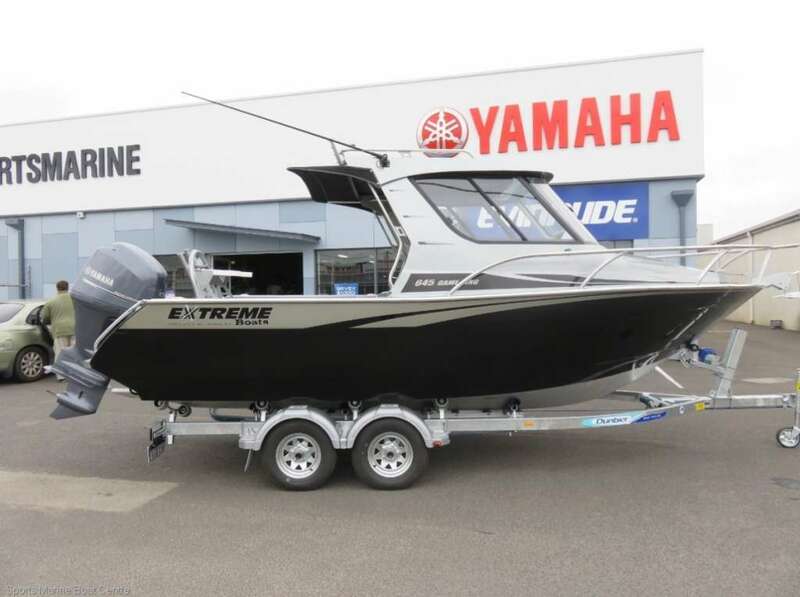 Available now with massive savings of $1,950 with Yamahas engine promotion, so get in quick and save. Price upon application – contact our sales team or come and see us on Strickland Street, Bunbury. 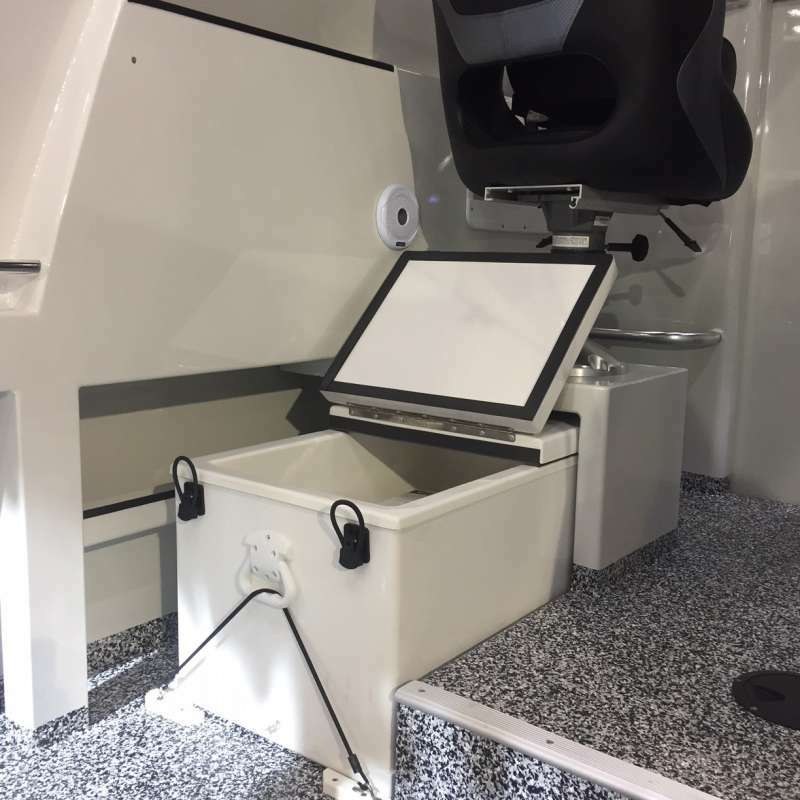 Check out the brand new Sea Jay 550 Vision Centre Console that has just landed in stock. Greg does a brief walk through showing the features of this beauty! 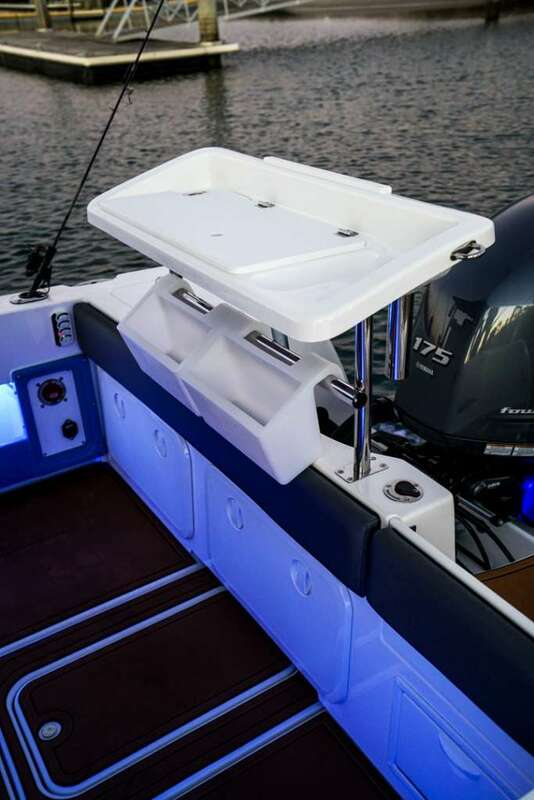 Another ripper, tough as nails Sea Jay centre console… Ask any Sea Jay owner just how good they are. 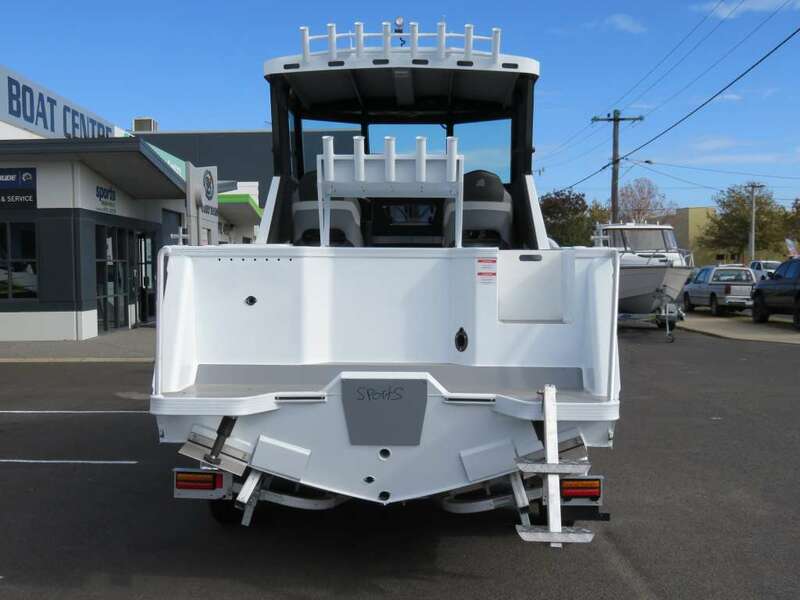 This 5.5 mtr vision hull features the folding tee top, 175 litre fuel tank, large icebox/ padded seat, rear door, heavy duty ladder, hydraulic steering, large underfloor storage area, plumbed live bait tank, navigation lights, bilge pump, switch panel and battery isolation switch. Like all Sea Jays this ones built to last from 4mm plate hull and 3mm plate sides with 14 hull ribs. 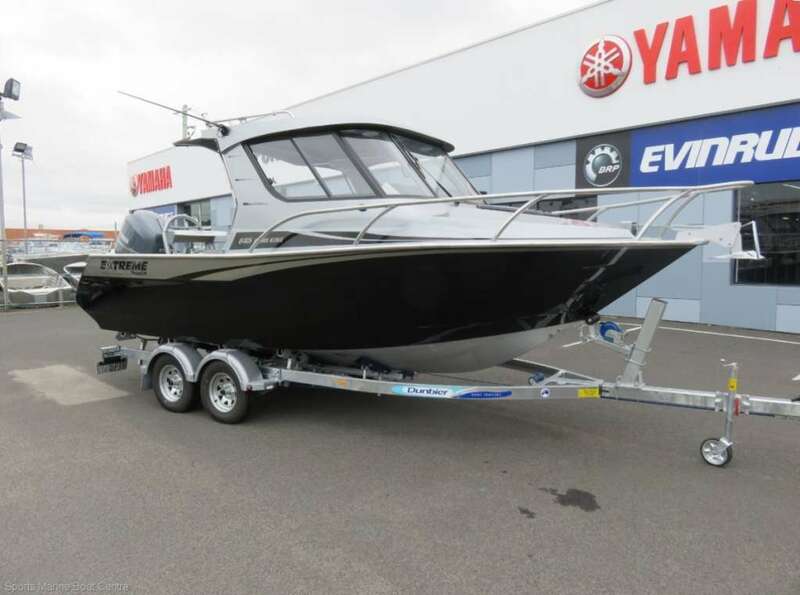 All up hull only weighs around 681kg so she’s got plenty of hull strength, plus at 2.45mtr beam and the “samurai” deep vee hull, you can expect awesome ride offshore with great stability at rest. 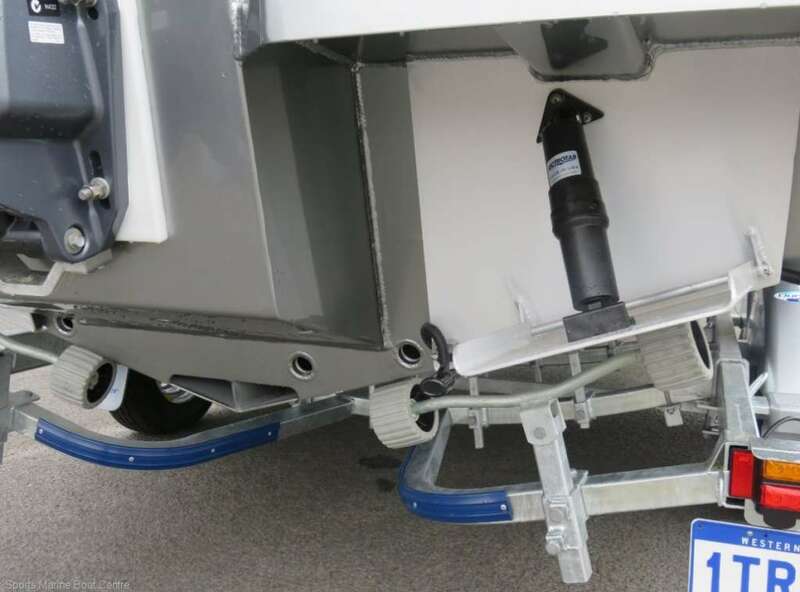 The trailer is a heavy duty tandem “glider roller” offering full keel support with side vee skids so its self aligning for driving it on to the trailer. 4 lifejackets, offshore flares, EPIRB, anchor, rope & chain. 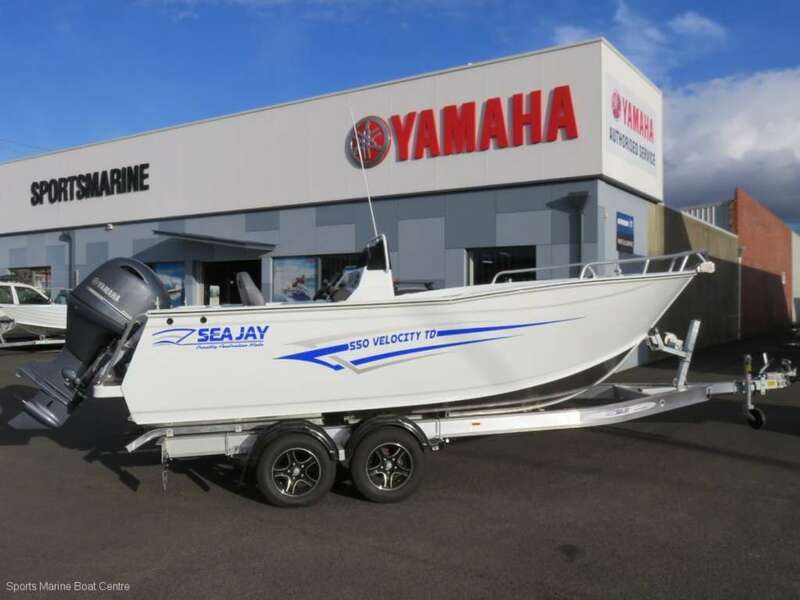 Buying a Sea Jay is a choice of investing in a small manufacturer who doesn’t mass produce boats, they have more control over the build process and they build tougher, stronger, longer lasting boats… Don’t take our word for it.. Jump on any online forum and see for yourself.. Owners rave about Sea Jays and you will too. Available now for immediate inspection! 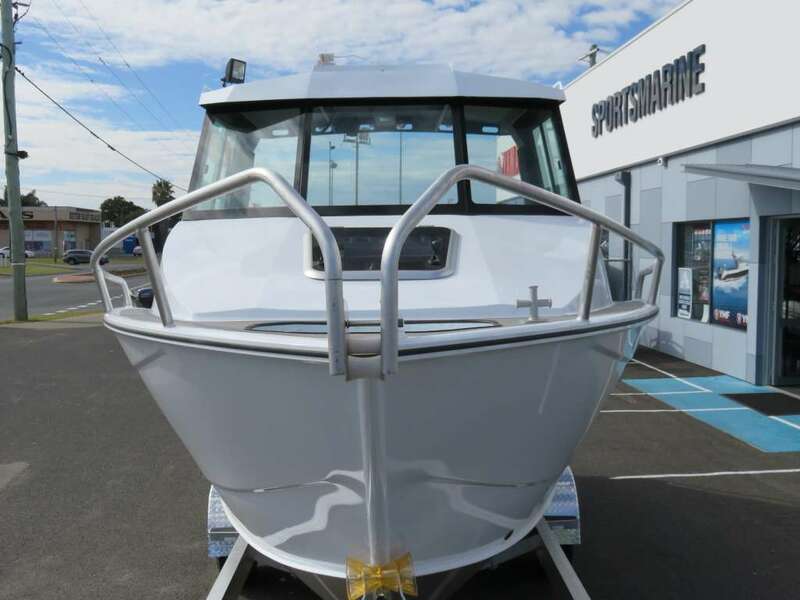 CruiseCraft has added another hard top to its range – this time to the Outsider 595. It joins other hard top models – the Explorer 685, Explorer 625 and Explorer 595. 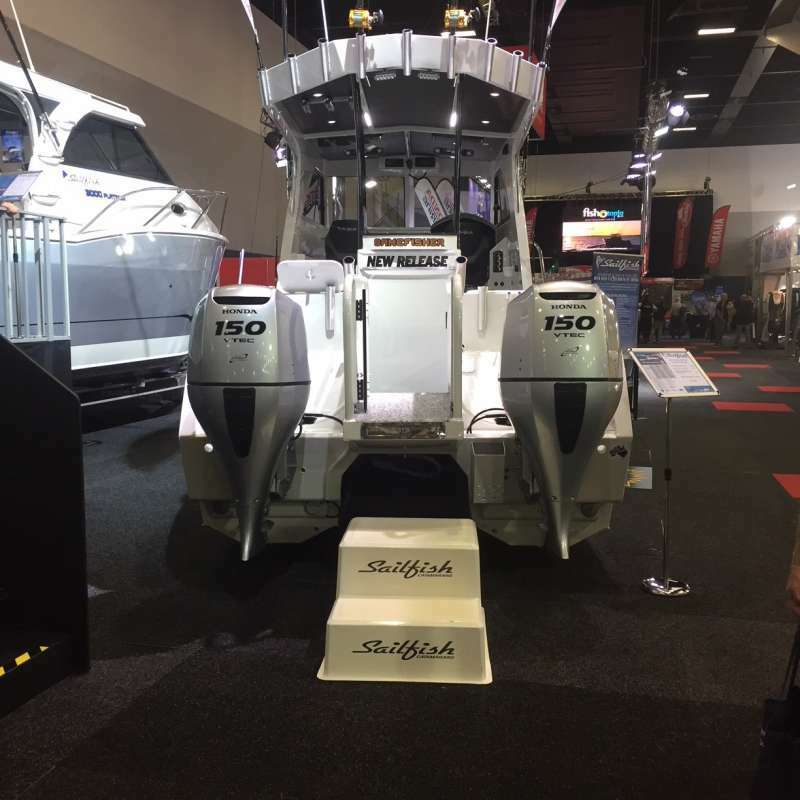 With far greater protection from the elements coming from the hard top and full height glass windscreen with sliding glass slide panels, the Outsider 595 will very appropriately make a wintry public debut at the Melbourne International Boat Show scheduled for mid-June at the Convention and Exhibition Centre at Southbank. 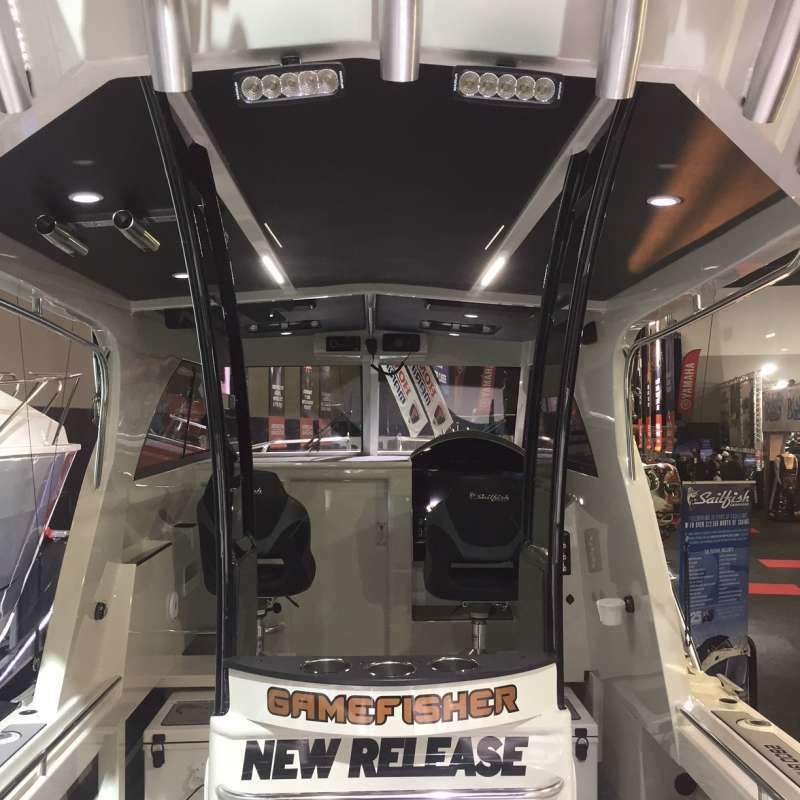 The Outsider 595 hard top also can be teamed with an optional sliding cabin door like those on the Explorers. 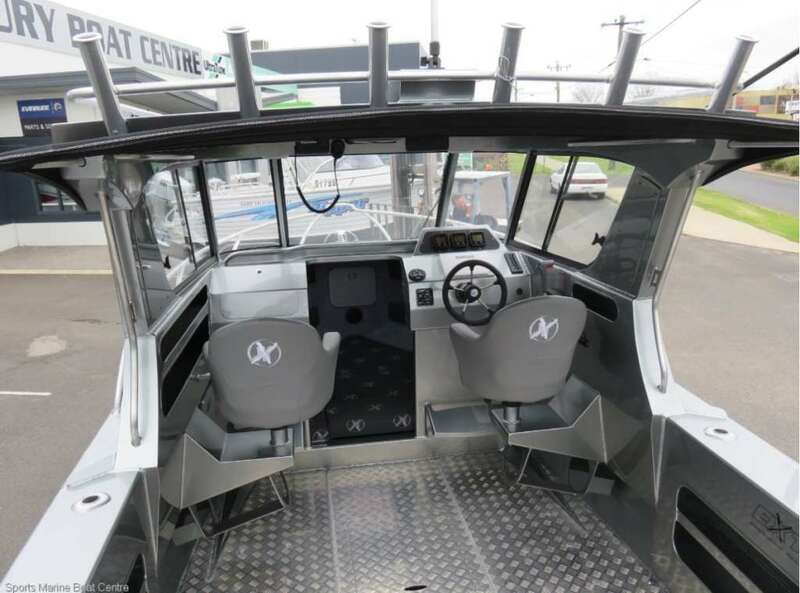 The newest model, like all others now coming out of the CruiseCraft factory, features the 3C – complete composite construction technique which removes all timber from the boat. The Outsider 595 hard top will be marketed alongside the Outsider 595 targa top meaning that purchasers will have the choice of two versions. 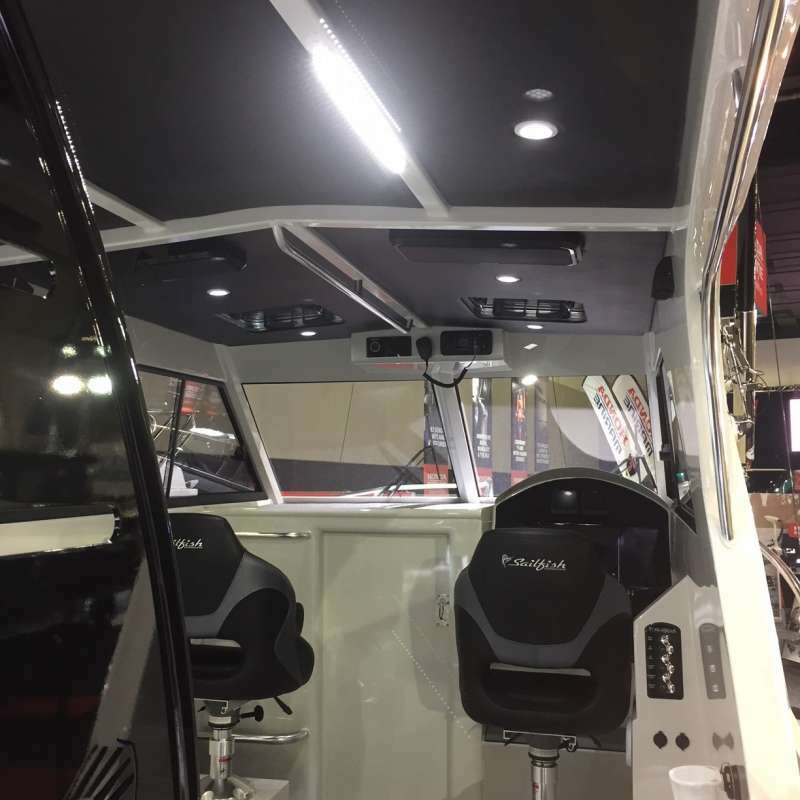 In keeping with CruiseCraft’s outstanding standards of finish, the Outsider’s hardtop is constructed from a double-sided moulding That means the underside of the hard top is mirror smooth, just like the topsides. 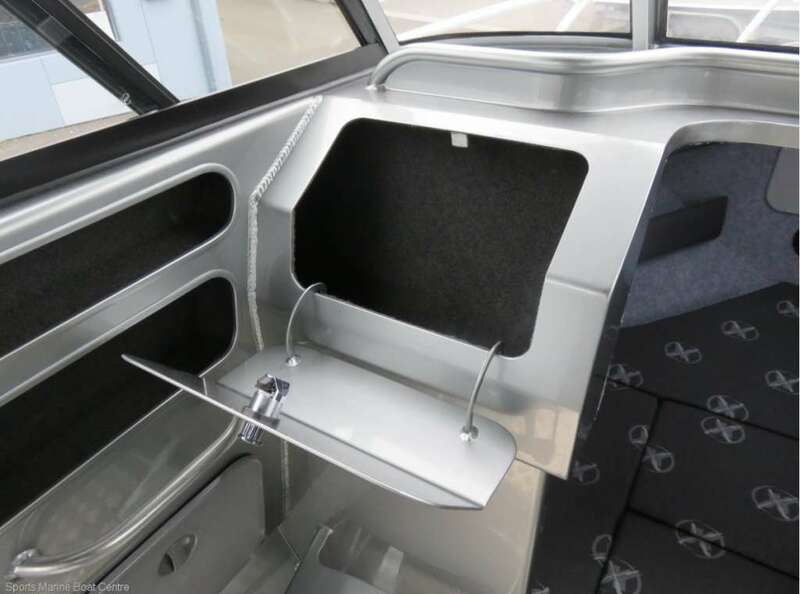 The design also enables electronics like radios and lighting assemblies to be fitted perfectly into the recess between the outer and inner layers of the hardtop. As part of the design program, the dashboard also has been redesigned to facilitate the installation of larger electronic displays. 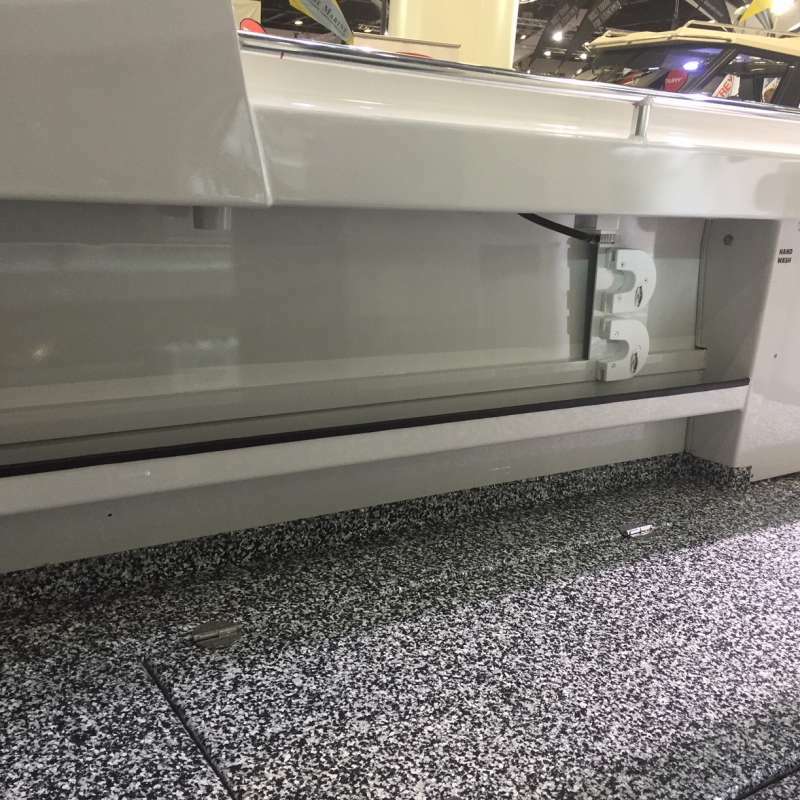 The Outsider 595 can now accommodate a 15” plotter, sounder or combo. 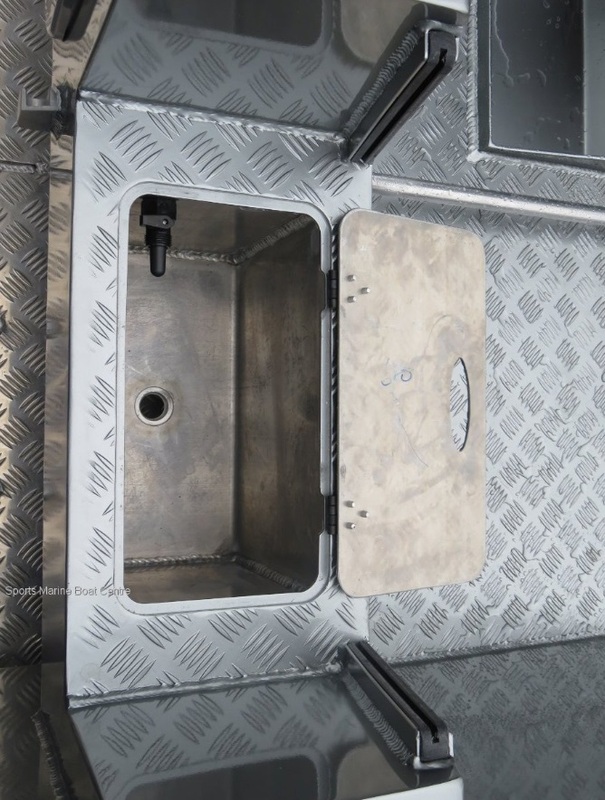 The hard top also can be matched with an extension sliding on stainless steel rails to give even more protection from the elements. 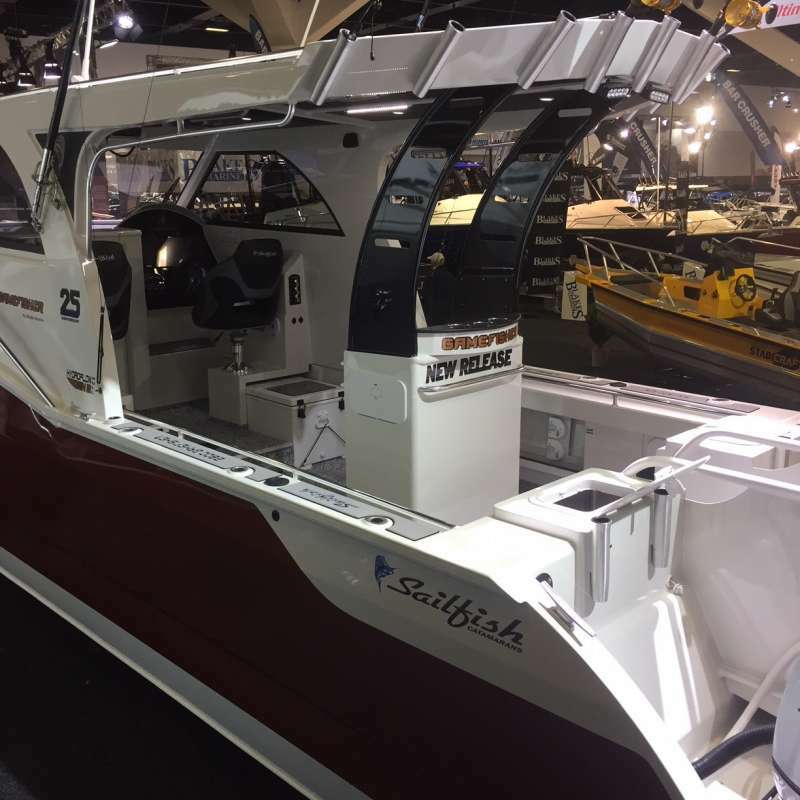 2017 model Assassin 710 hardtop cuddy cabin. 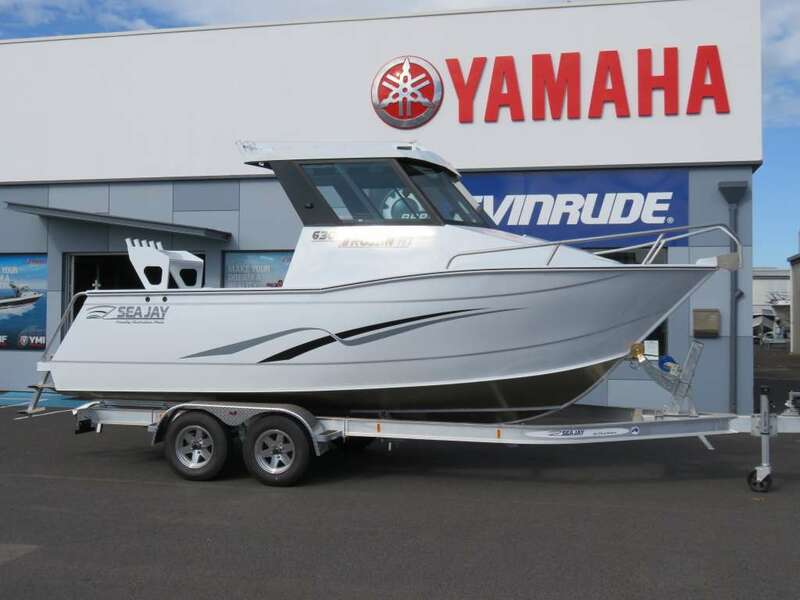 Powered by a 225hp Yamaha 4 stroke with dual batteries (one start & one house battery) all run through the VSR battery cluster and secured firmly with stainless steel battery clamps, stainless steel propellor, Yamaha glass bowl fuel filter and 300 litre fuel tank. 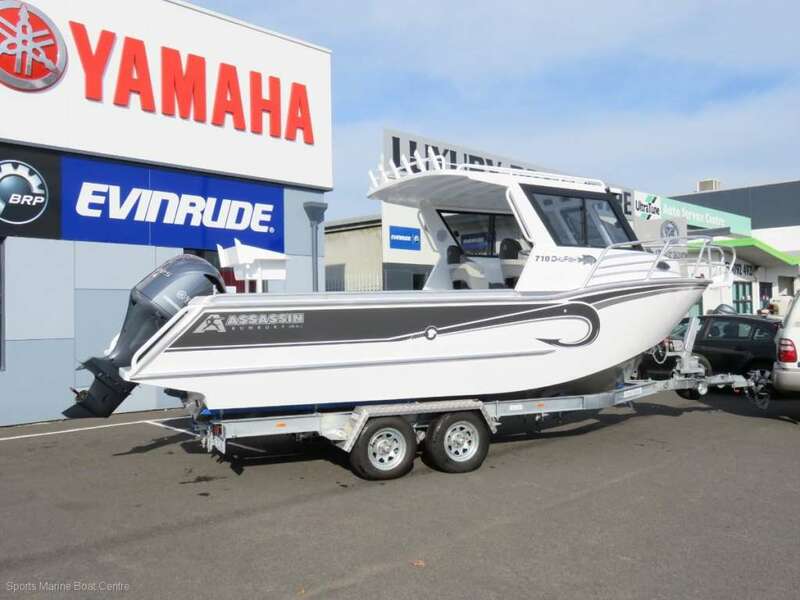 Fitted out with a deck wash, Stress Free drum anchor winch, GME VHF, Fusion stereo, interior and navigation lighting, 60 litre fresh water tank with fresh water shower, …massive kill tank with gas strutted lid, 2 piece lockable cabin door, storage under bunk cushions, front access hatch and 2 inside windows allow both plenty of light plus ventillation into cabin area and toilet provision inbuilt (not installed but can be added). 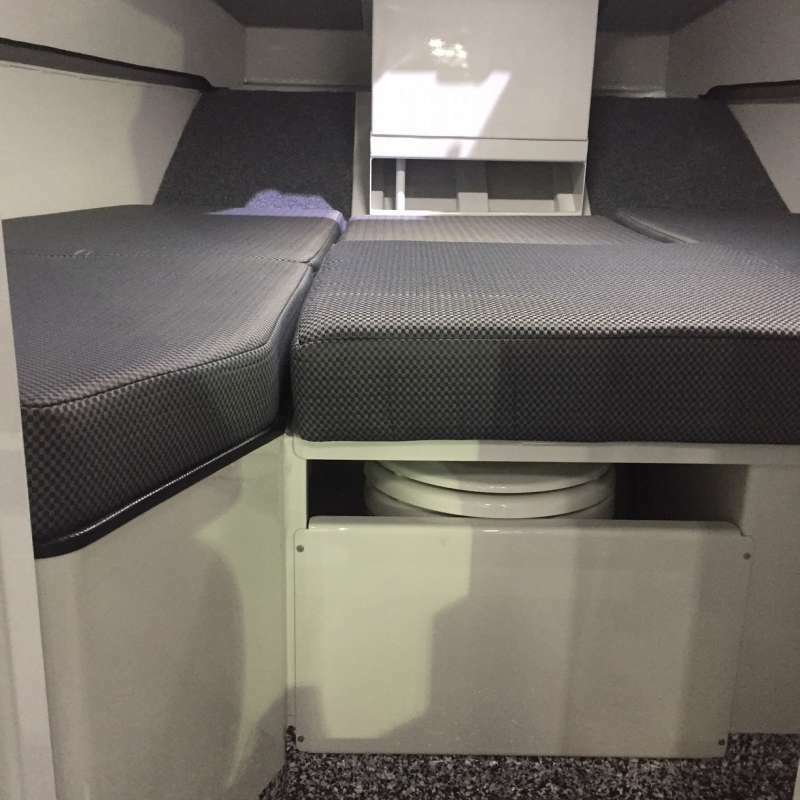 All new deluxe seating with heavy duty seat slides and swivels, lift up lids under seats with top storage shelf, 6 welded in stubby holders along side each rod holder, stainless steering wheel with hydraulic steering. 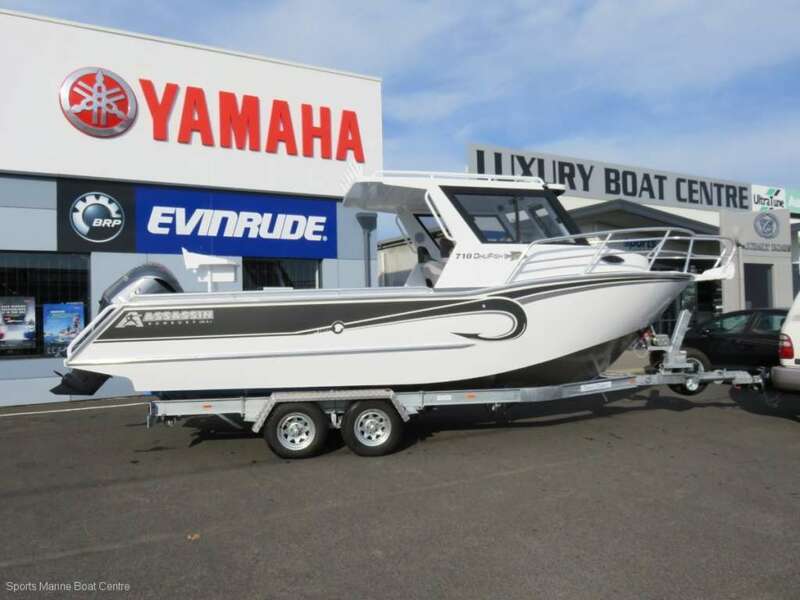 These are massive boats with large rear deck area. Our custom made trailer all all heavy duty i beam with vee skid system that self aligns the boat, totally set up for full drive on capability. A spare wheel is standard and the mudguards are tough checker plate aluminium. We measure our boats correctly, so when we call it a 7.1 mtr thats the real size, but overall its 8.2 mtrs. 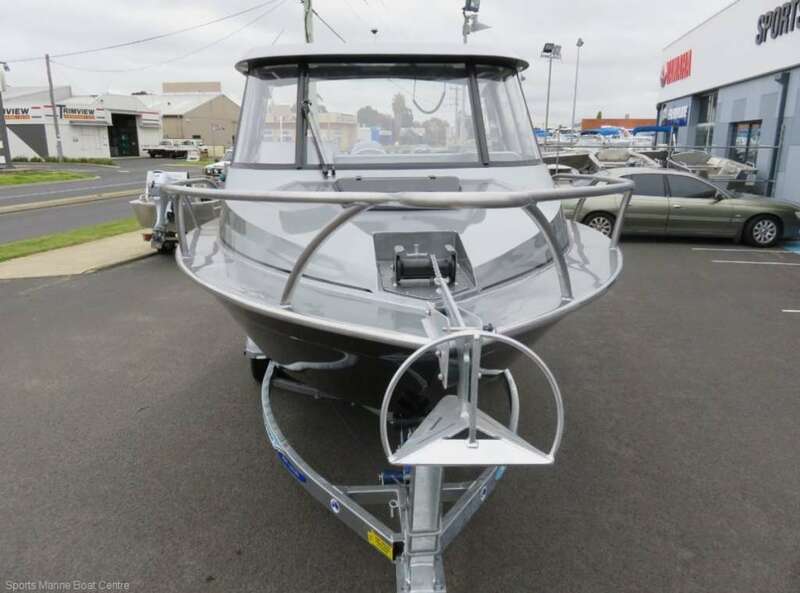 Assassin boats are built tough to last and are built with pride in WA and perform well and command great resale if/when they come up. Available now for your inspection. Price on application – get in touch with our sales department for pricing. 2017 model 6.3 Sea Jay Trojan hardtop with 3 fixed front windows and 2 side sliders, offering excellent all weather protection. It’s been long awaited arriving, but wow !!! What an impressive boat. 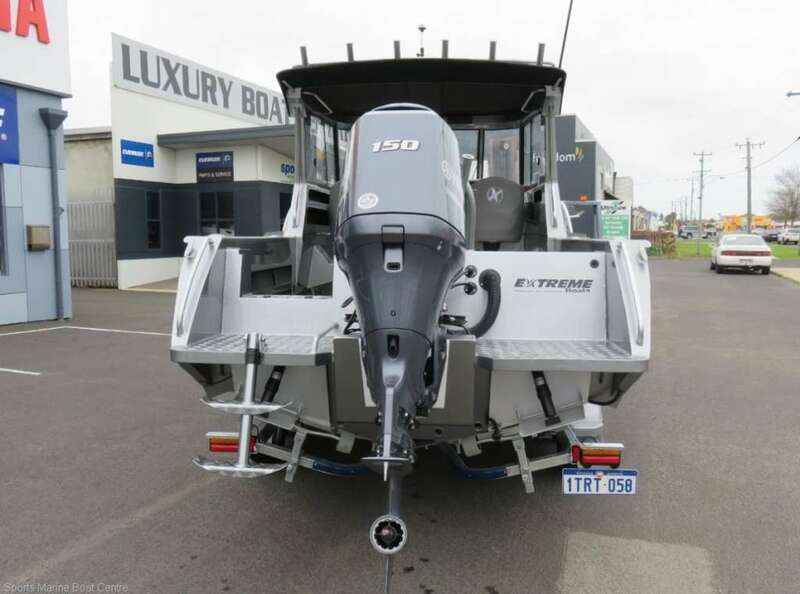 The first thing that hits you is its massive deep sided hull and its wide 2.48 mtr beam all weighing in around 1,100kg dry weight (hull only), so you just know its built to last. 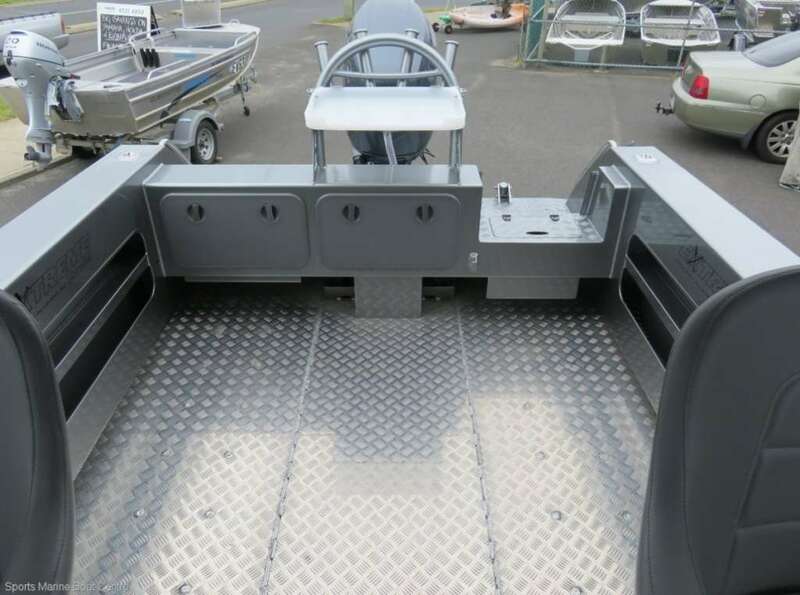 All 3mm checker plate flooring fully sealed so nothing gets underfloor, roomy front cabin with upholstered bunks and storage underneath, self flooding underfloor kill tank, 6 alloy rod holders, passengers seat box has inbuilt provision for 6 x tackle trays, overhead 8 rod rocket launcher, rear transom tackle storage provision for 5 x tackle trays and plumbed live bait tank. 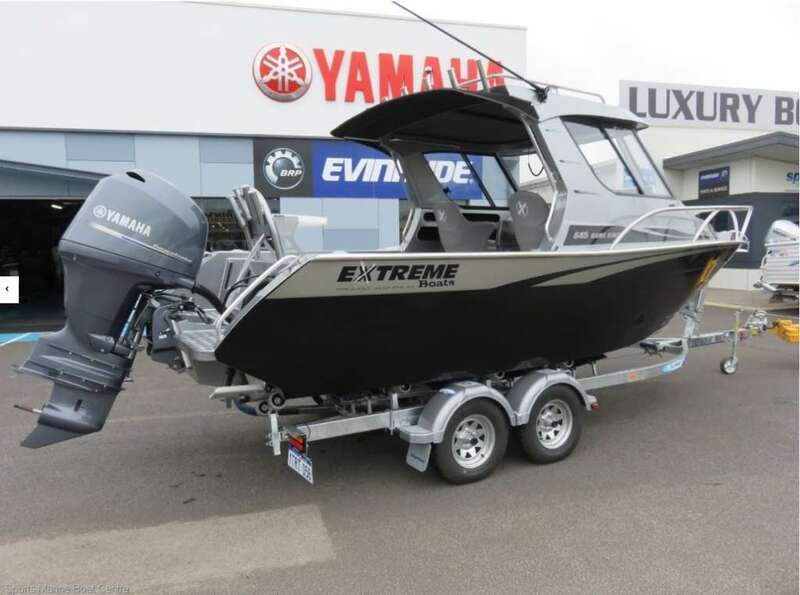 As well as dual batteries, hydraulic steering, overhead radio console with VHF radio, cabin lighting, under hardtop lighting, navigation lighting, 12v power with USB, switch panel, trim tabs, 230 litre fuel tank, tough rear ladder, deck wash, rear removable seat, large solid bait board and 2 quality padded seats. The trailer has been upgraded from the standard galv. model to an all aluminium model with mag wheels. Well worth a look at this ripper. 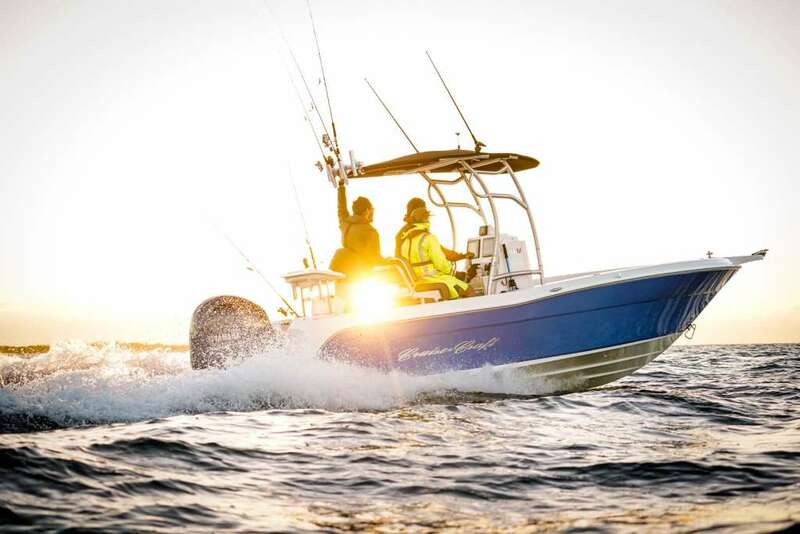 Aluminium boats are the mainstay of Aussie fishermen due to their rugged ability versus weight. 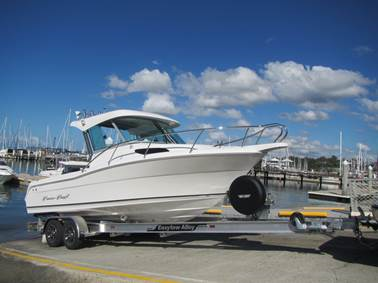 They also are able to take quite a beating and do not require the care of a fibreglass boat. Not only that if you bang into something while coming ashore such as a rock, more often than not you’ll feel a bump and that will be the end of your problems. 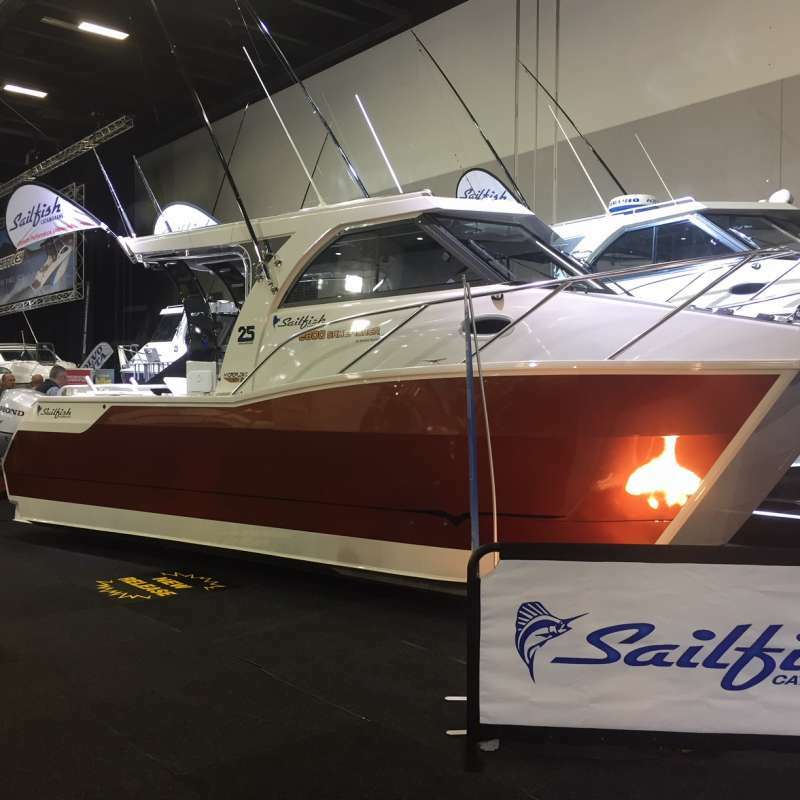 While there are many aluminium, or tinnies as they are affectionately known, boat brands, none are quite as classy as Sailfish. 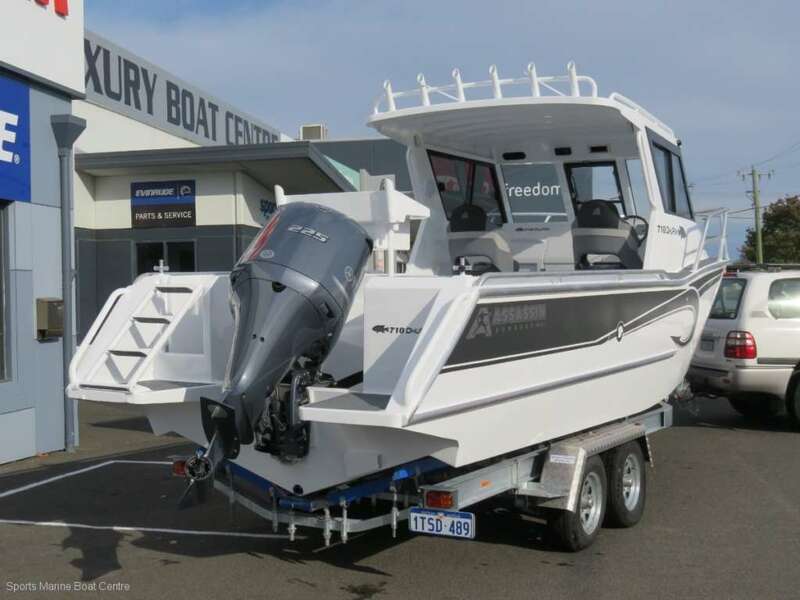 This Australian manufacturer has quite a reputation for its quality, tough aluminium catamaran style boats with just as many used by commercial operations as recreational buyers. 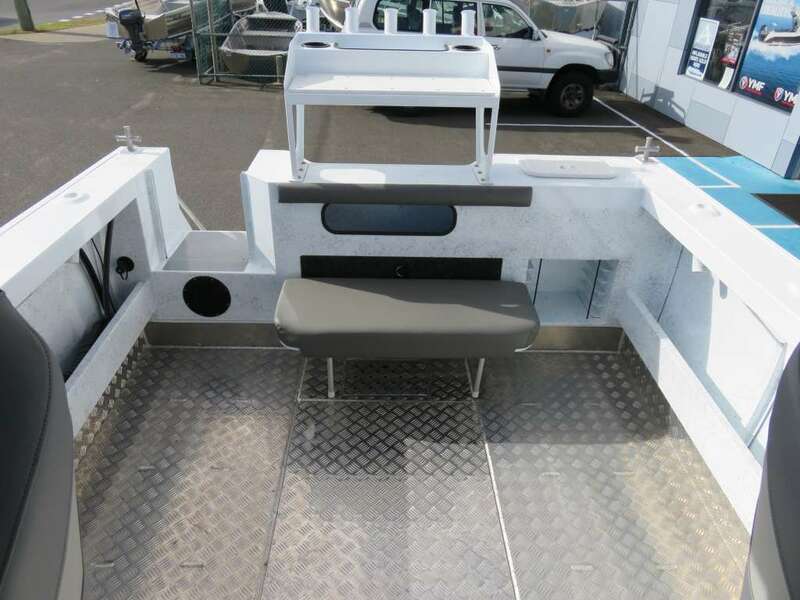 Specialising in catamarans has enabled them to continually innovate and deliver class leading packages that are insanely stable, have more space than you’ll ever need and all the trimmings necessary to operate as a serious offshore game fishing platform as well as weekender duties when called upon. The Platinum Series offers owners a complete turn key package with the added option of customised layouts. 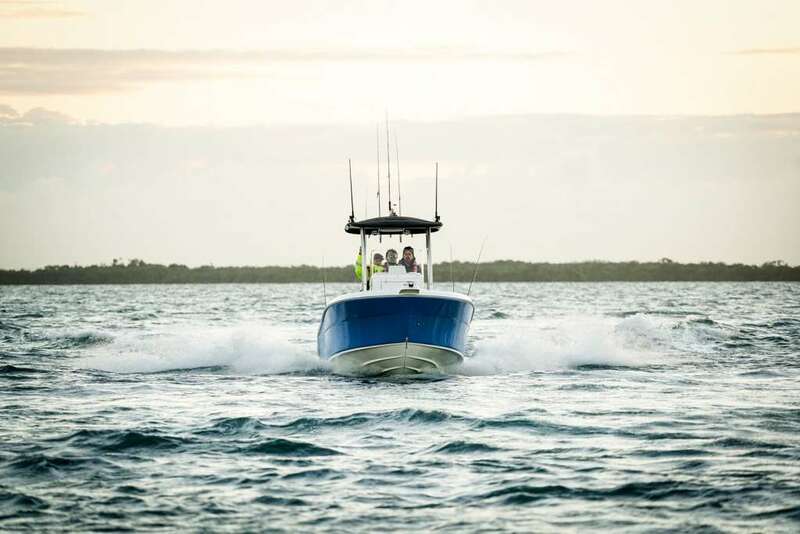 The test boat provided, a Sailfish 2800 Platinum, is an owners new boat and his second Sailfish. 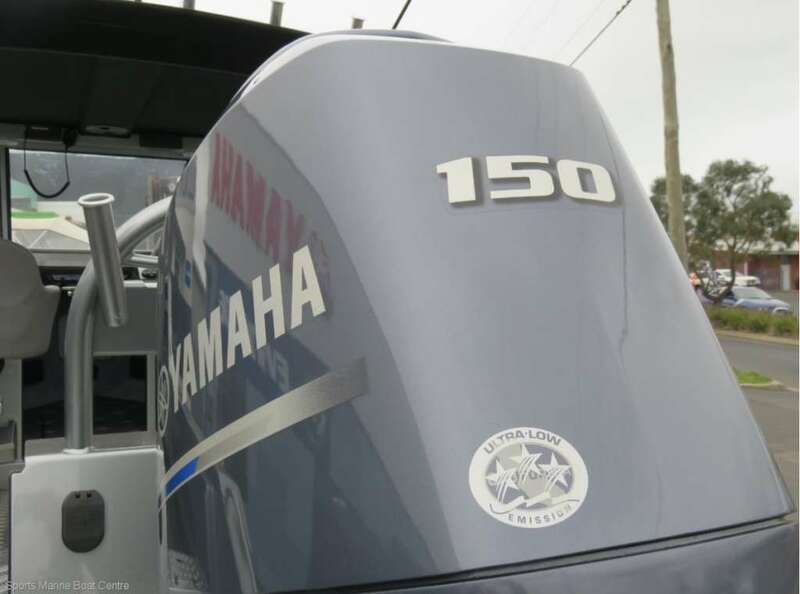 He chose the brand because he was looking for something more stable and bigger than his 6.5m mono-hull but still towable so he can go anywhere, anytime. That said he had to buy a Dodge RAM to go with it, of course. It’s an imposing package and close to, if not over, 15.0m long. 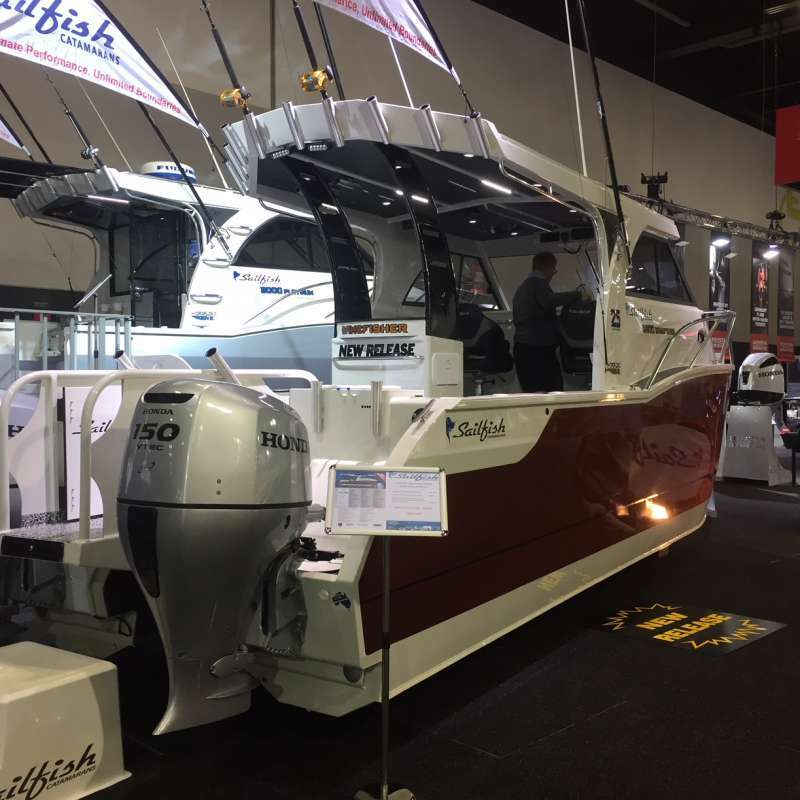 The Sailfish 2800 Platinum would be close to 10m on the trailer alone. As it slips off the trailer into the water the most obvious element is the massive cockpit. 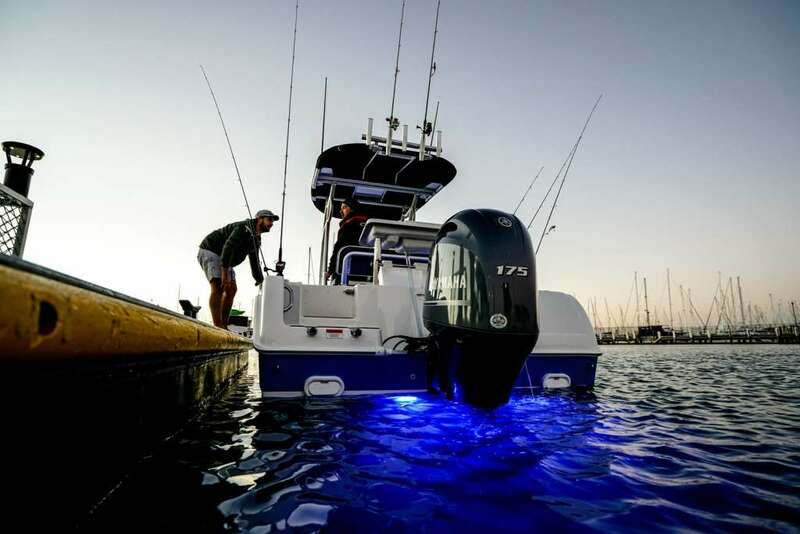 The owner of this boat is a keen angler and loves to chase tuna offshore, so he has set it up accordingly. The deck is self draining, non-skid acrylic which looks like paint chips. It’s perfect offering easy cleaning once a fish has hit the floor and is non-slip. Underneath, two large kill tanks can accommodate your catch. The design and layout is exceptional. 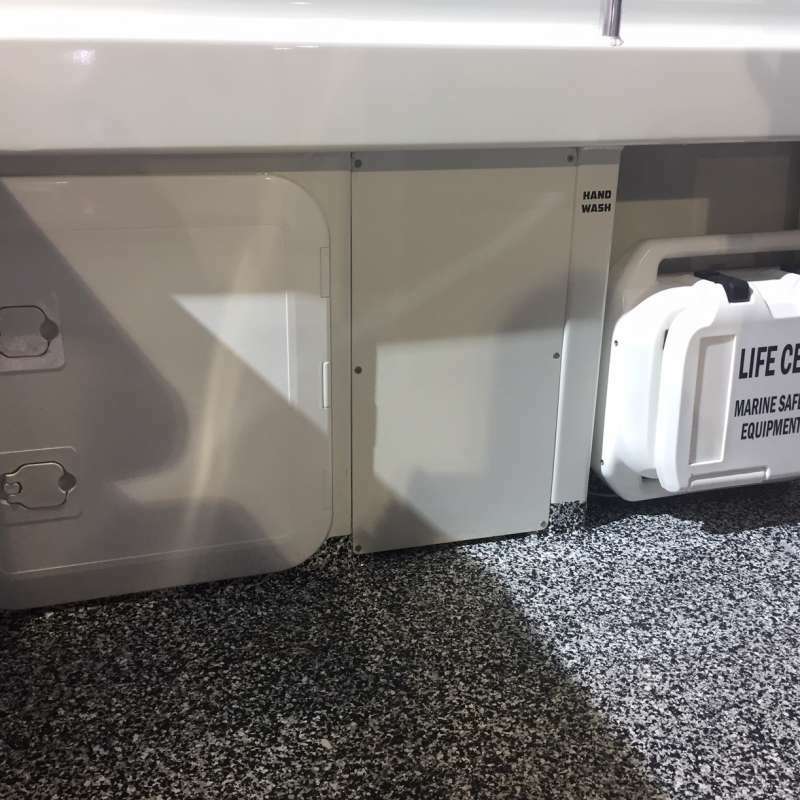 There are hatches hiding the batteries and multiple storage areas all around the sides of the cockpit. 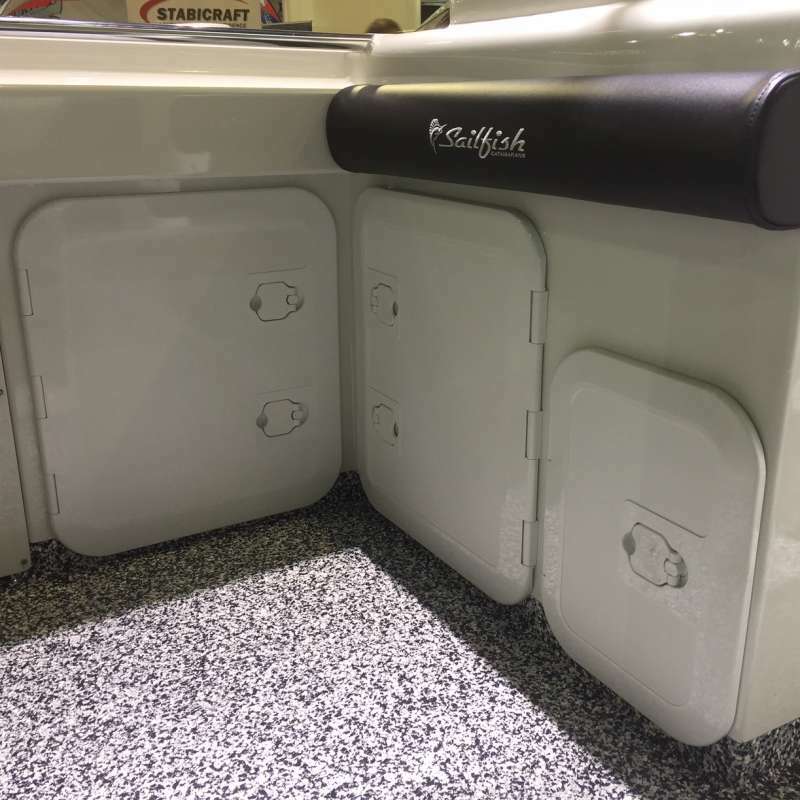 The gunwales are wide enough to sit on comfortably even with the handy inset grab rail. They have deck grip on top, which, in a nice classy touch has the brand and model designator etched into it. It also has three moulded rod holders either side. Across the back at the business end of the boat is a bait/prep station that is the perfect height so as to not have you bending over uncomfortably to use it. Underneath, in the gunwale is another hatch and storage compartment. 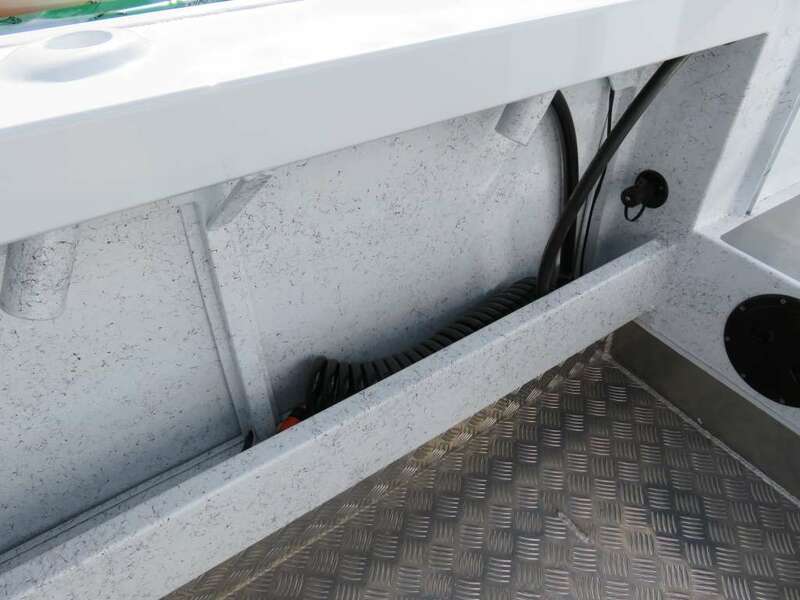 The transom gunwale is split by a wide walkway between the twin outboard set up, something that can only be done on a cat hull. 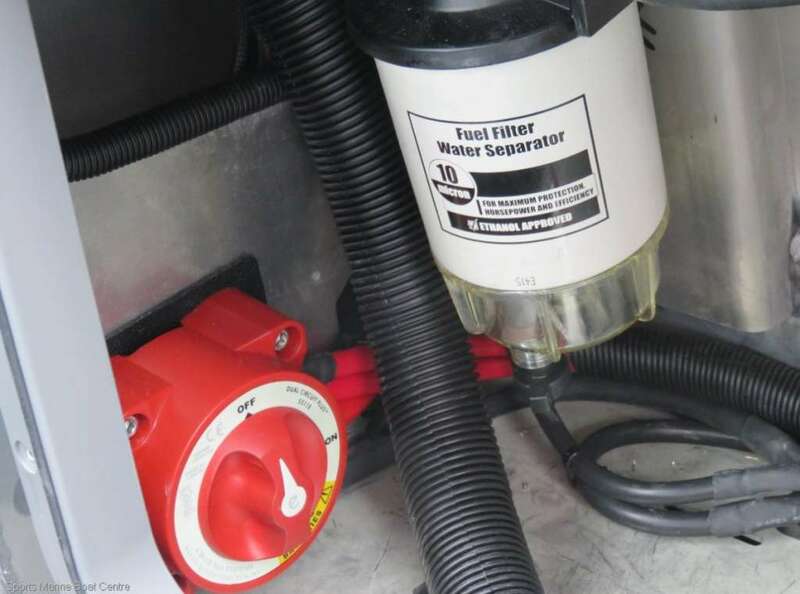 This allows anglers full access out and around the engines, which is crucial if you’re chasing a tuna around the cockpit. On the port side there is a large live well and sink set up. 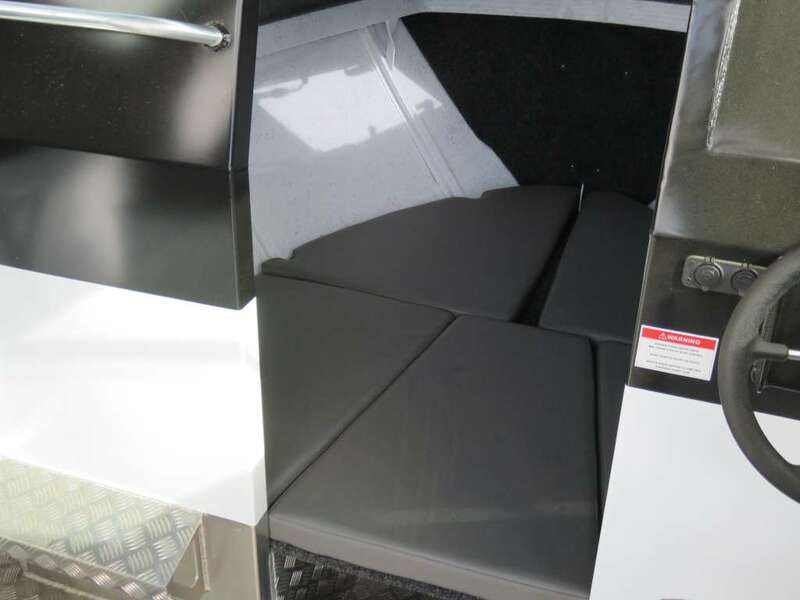 The coamings across the transom and two-thirds along the port and starboard sides are padded, and very comfortable too. 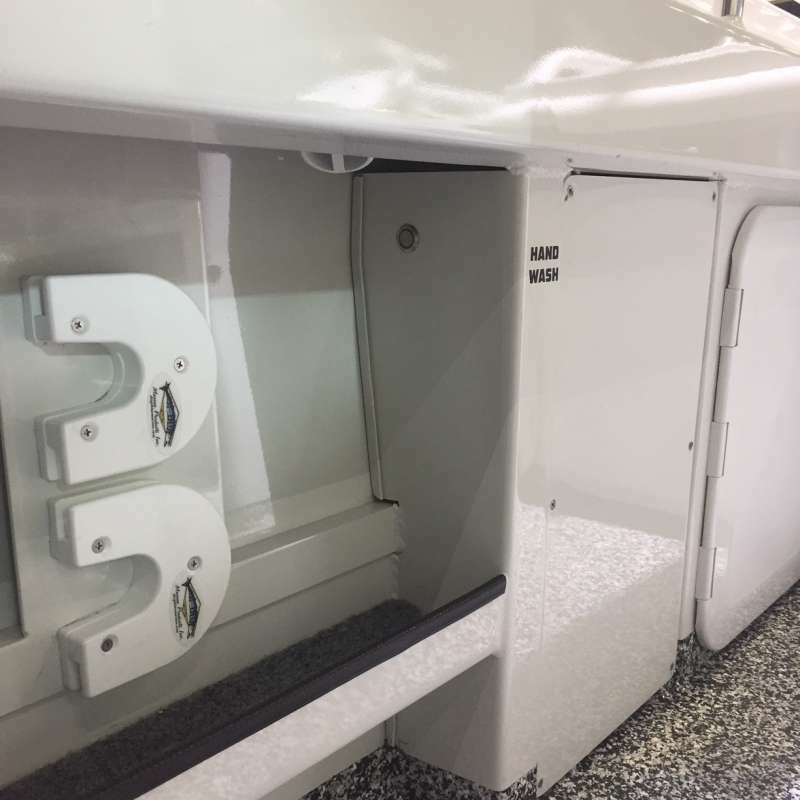 Innovative solutions to some of the space issues are solved with the addition of two aft facing bench seats, handy for sitting out the back watching the lines. 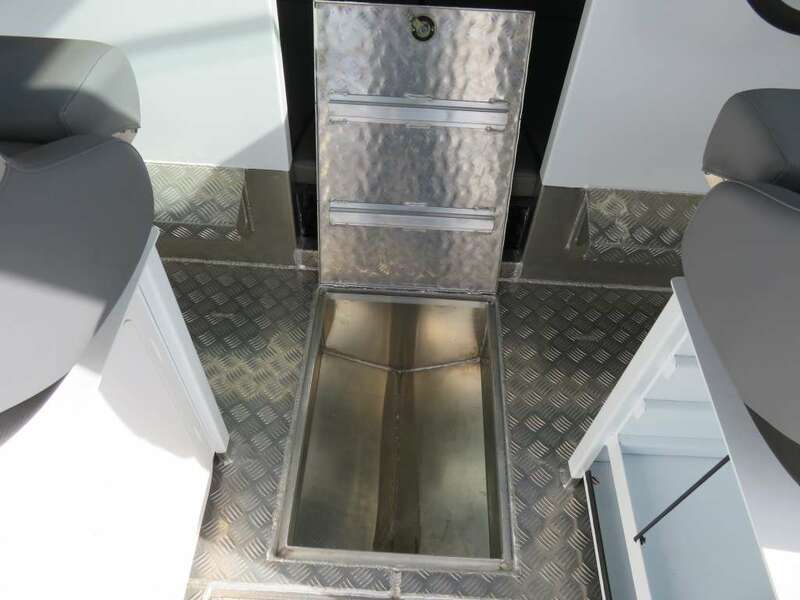 Storage is located under the starboard seat and a slide located in the rear wall of the cabin reveals a stainless steel barbeque on a rollered slide. 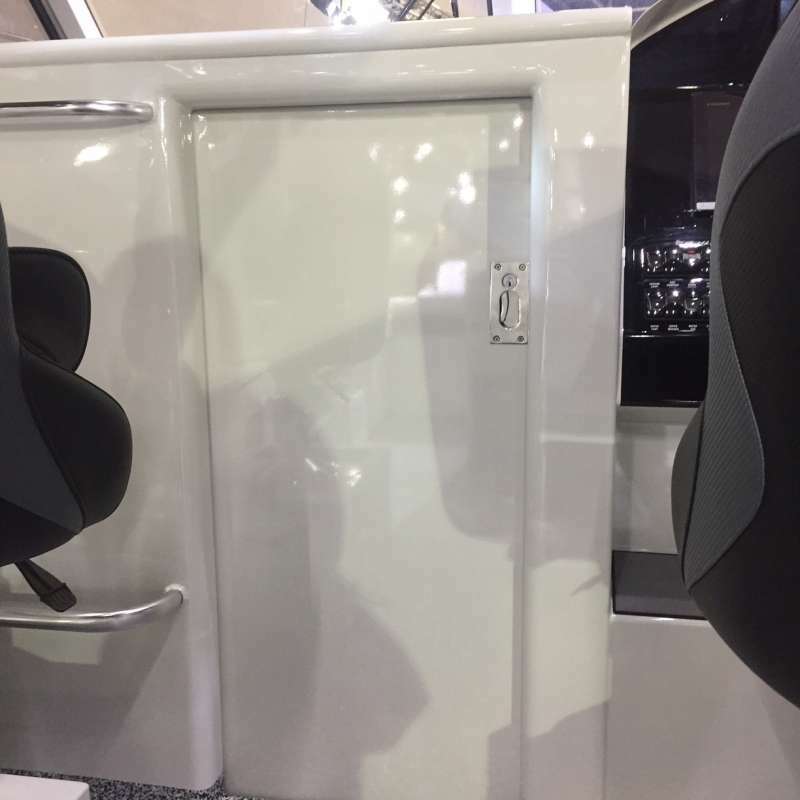 The port seat has another slide hiding a fridge. 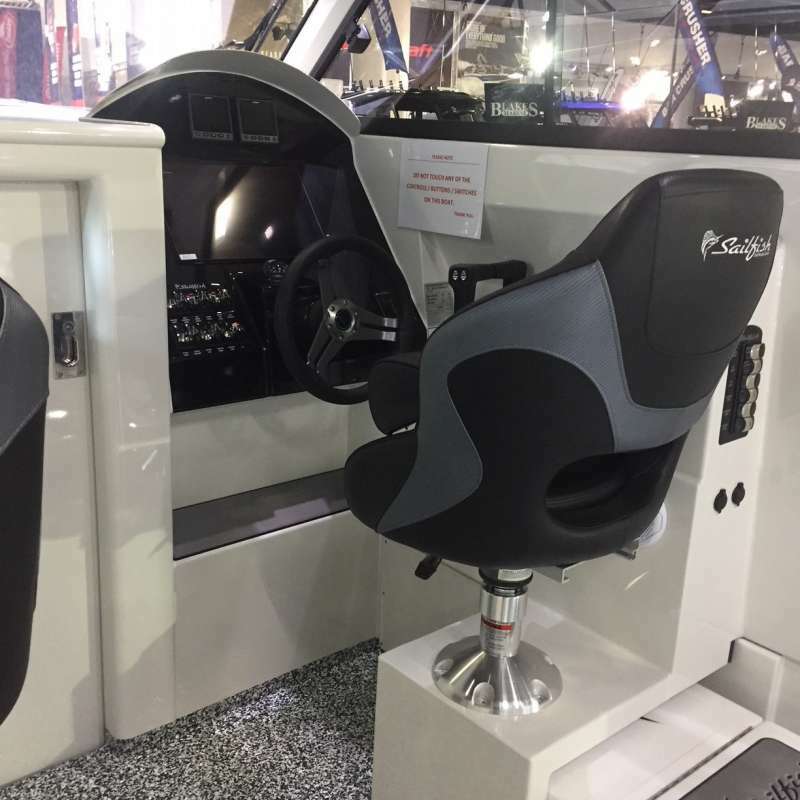 It leaves the entire cockpit clean and uncluttered which is the way we fishermen like it. 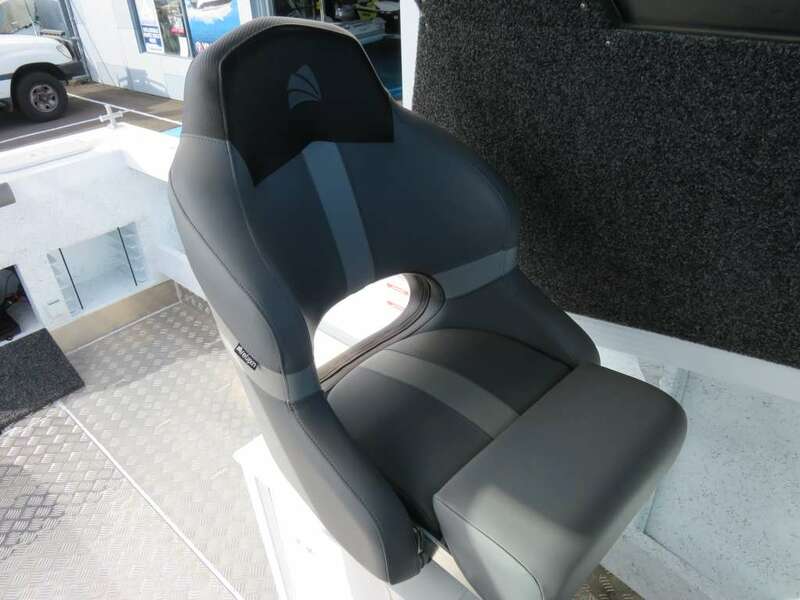 Once you’re back inshore you can grab the bench seat from the cabin (it’s light and easy to manage) and slide it in on the starboard side shelf creating more seating space. And you’re close to the barbeque. 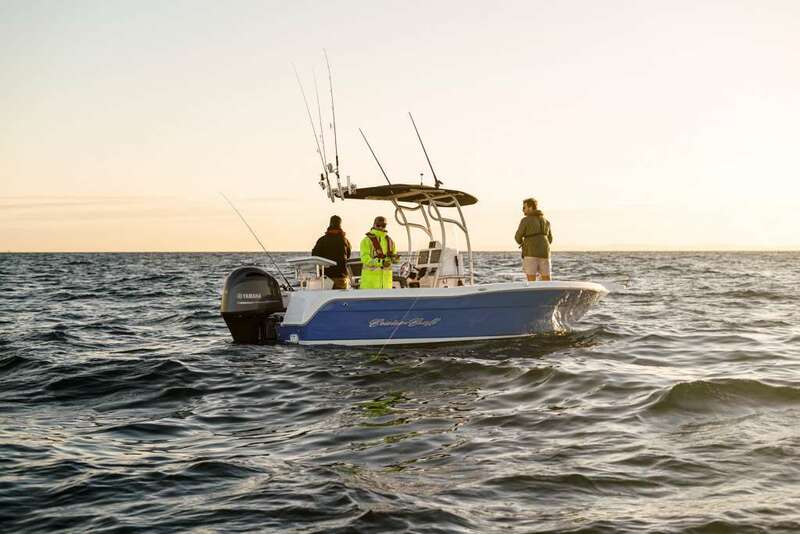 Up front the accommodation on the Sailfish 2800 Platinum is simple yet effective with a dual door that swings to open or close a full height toilet with hand held shower and a double berth on the starboard side that could easily accommodate three people or plenty of fishing gear. 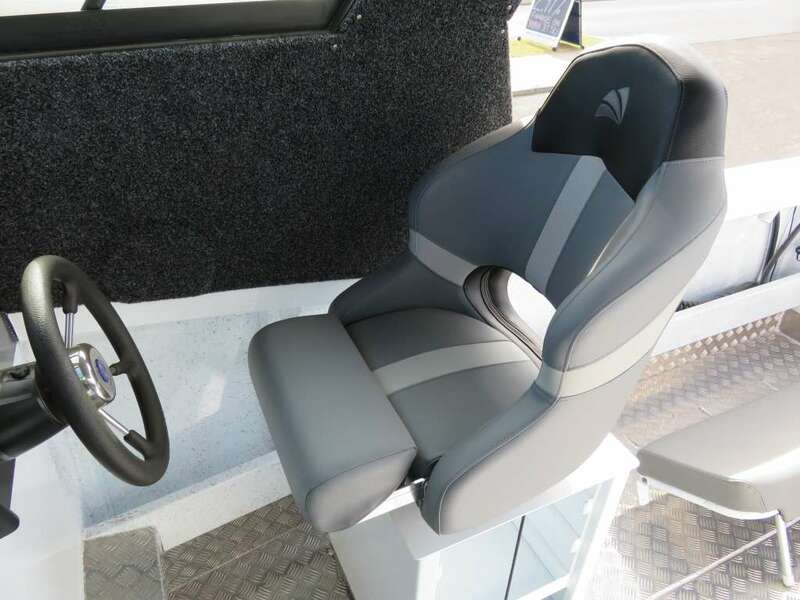 The cabin is a large affair with dual pedestal suspension seats for the driver and passenger. All the grab bars are located within reach although I felt the passenger side could do with one more. 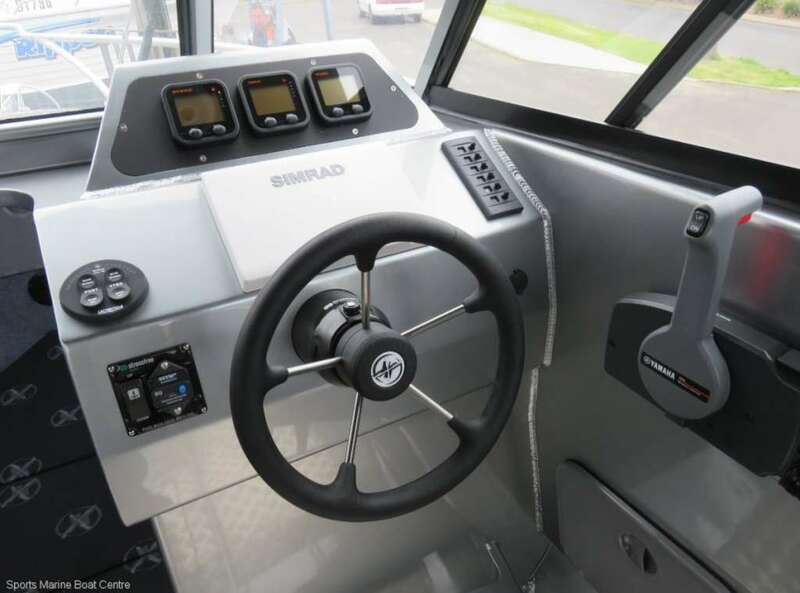 Just inside the cabin, beyond the French doors, is a sink to port and a dual burner stove top on the starboard side, directly behind the drivers’ seat. 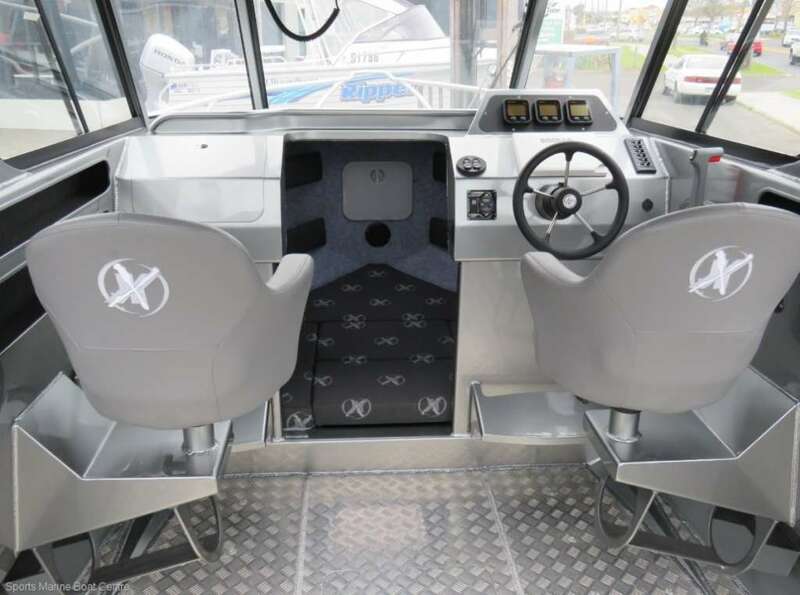 Access to the bow is via the starboard side only as the bow is pushed to port side to create more width through the centre even between the deluxe helms seats. 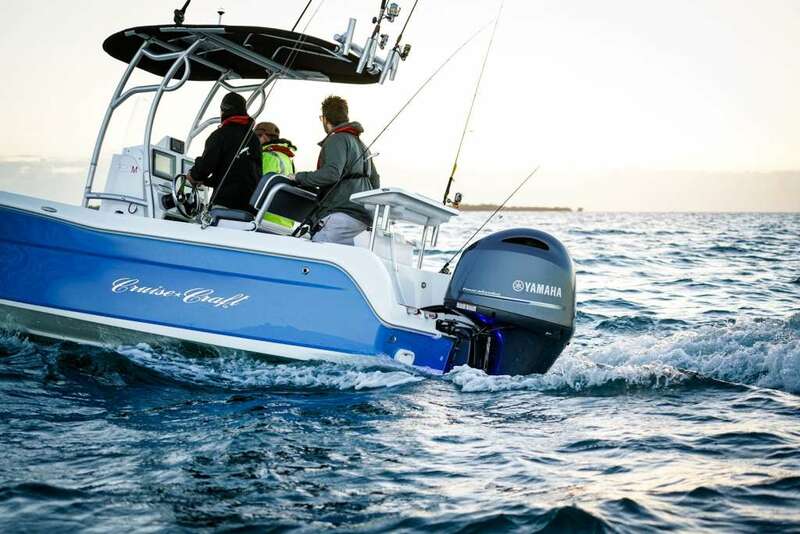 Twin 225 horsepower Honda engines deliver the power on the Sailfish 2800 Platinum. The BF225 engine is built on a single overhead cam V6 platform delivering a maximum rev range between 5000 and 6000rpm. 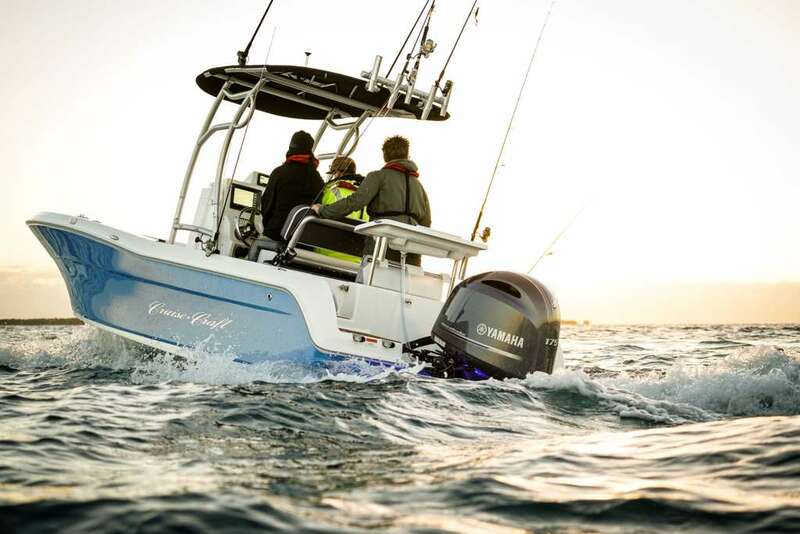 They deliver strong performance with the hull able to reach planning speeds relatively quickly. The package is well balanced with plenty of power, even mid-range, allowing you to find more when and if you need it. At idle they are extremely quiet but when you open them up, throaty enough to know it is running without being so overpowering that it destroys all hope of conversation in the cockpit. 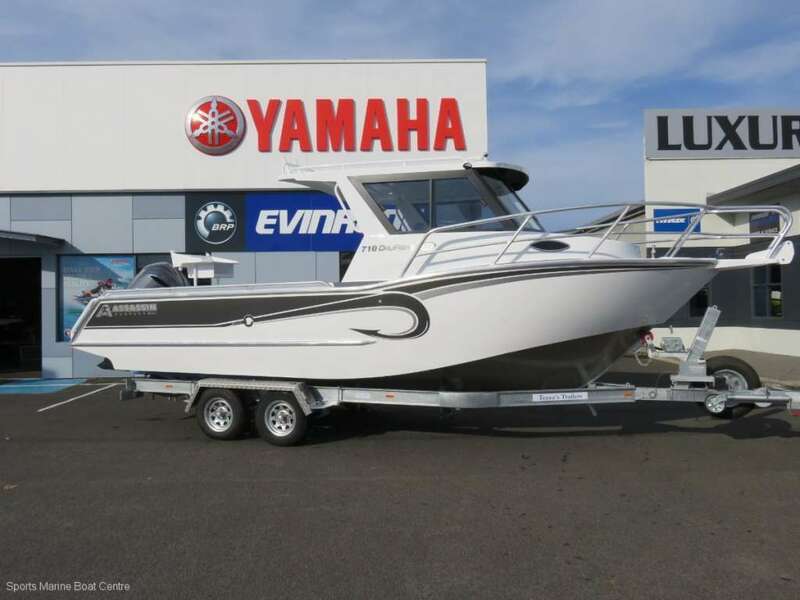 This boat comes with twin 150hp engines as a base point, so if you’re not looking for overall speed and can deal with less acceleration, they would be more than suitable. Either option would be perfect for offshore game fishing. 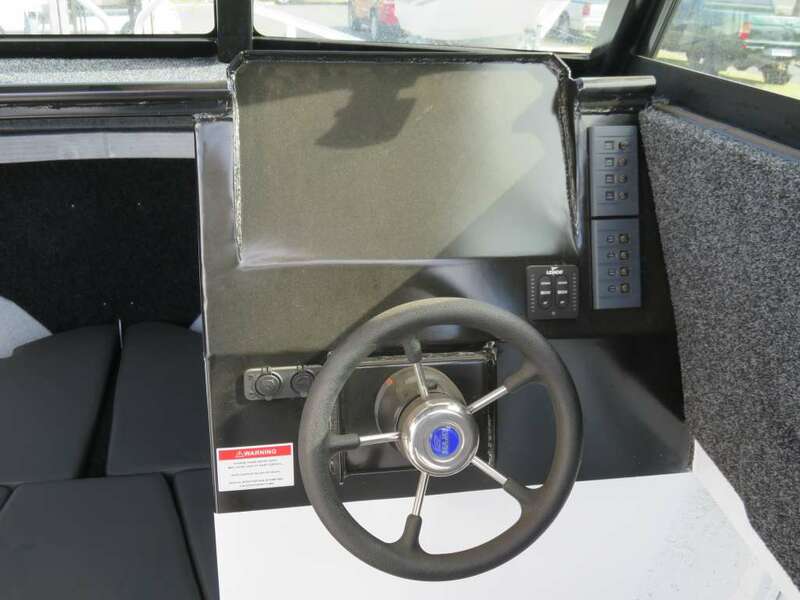 This Sailfish 2800 Platinum has been designed for long trips offshore and once you’re in the drivers’ seat you feel like you could stay there all day and be comfortable the whole time. All the controls are in the right place and the dashboard has been set up perfectly. The suspension seat takes out all the lumps and bumps. If you prefer standing, you can fold up the bolster and still be comfortable. 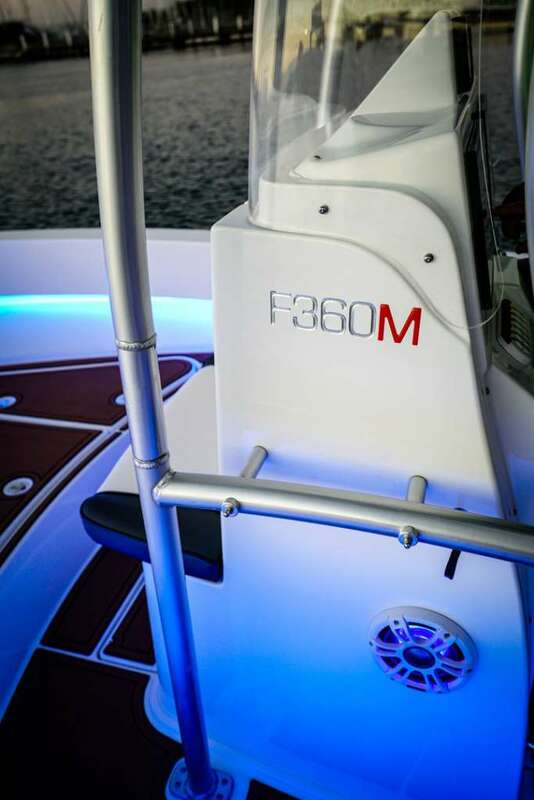 Visibility through the cabin is excellent and offers almost 360 degree views. Twin hulled boats are a little different to drive than standard mono hulls but the stability is far better. 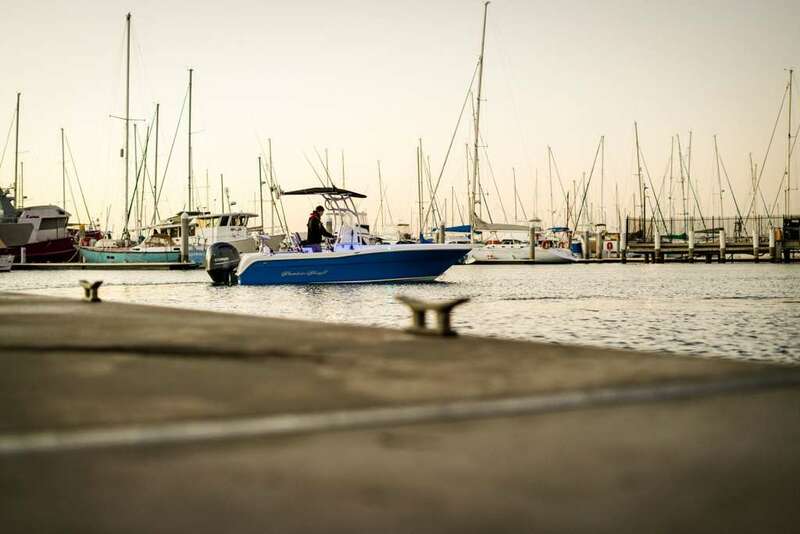 The twin hull set up also means less water is in contact with the hull delivering better fuel economy. 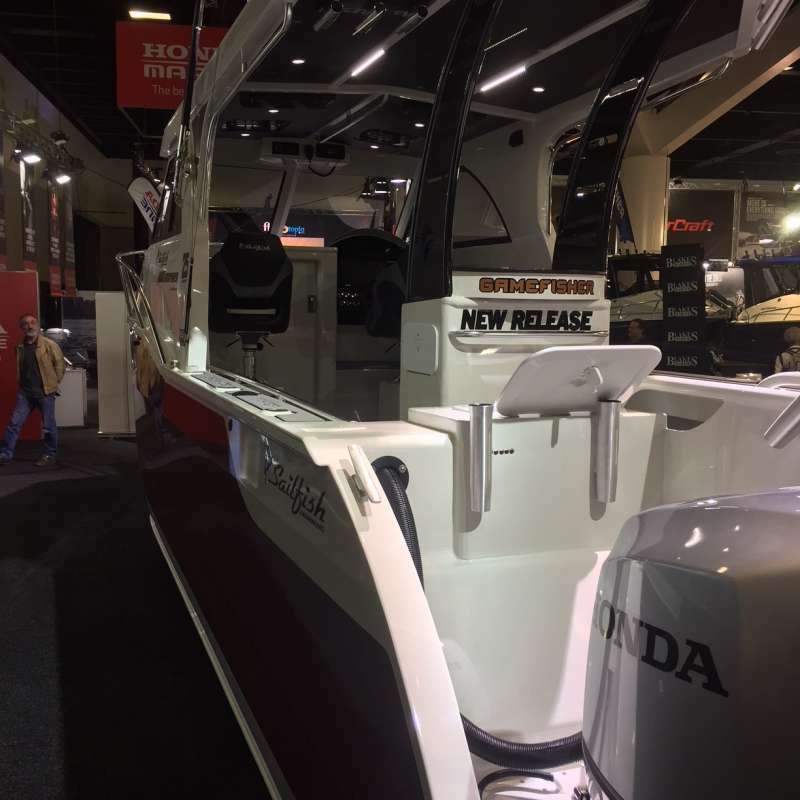 This new hull was built on the Hydro Flow Gen 2 design, which not only planes faster, but also cuts through the water more efficiently. It’s a good compromise between speed and comfort. 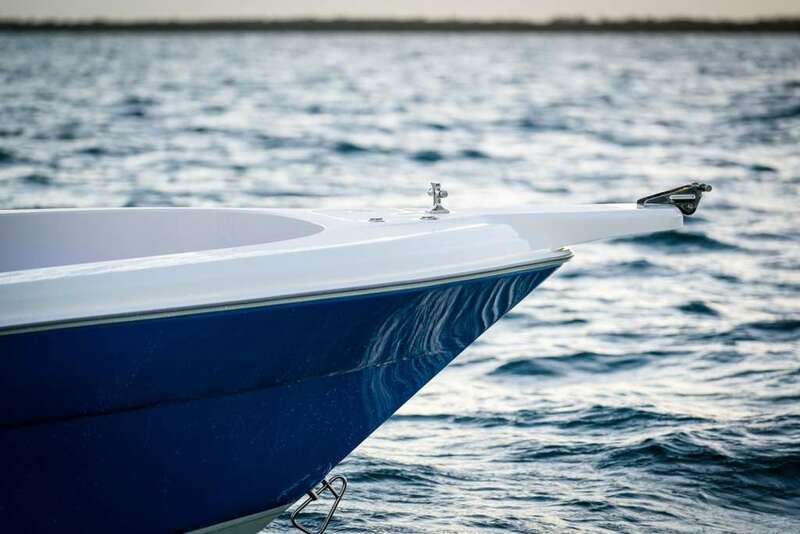 The twin hull design of the Sailfish also turns much flatter. This is one thing potential buyers will have to get used to but it is by no means dangerous. Quite often first time boaters or passengers cite the banking during a turn in a mono hull as one of the things they find off-putting. 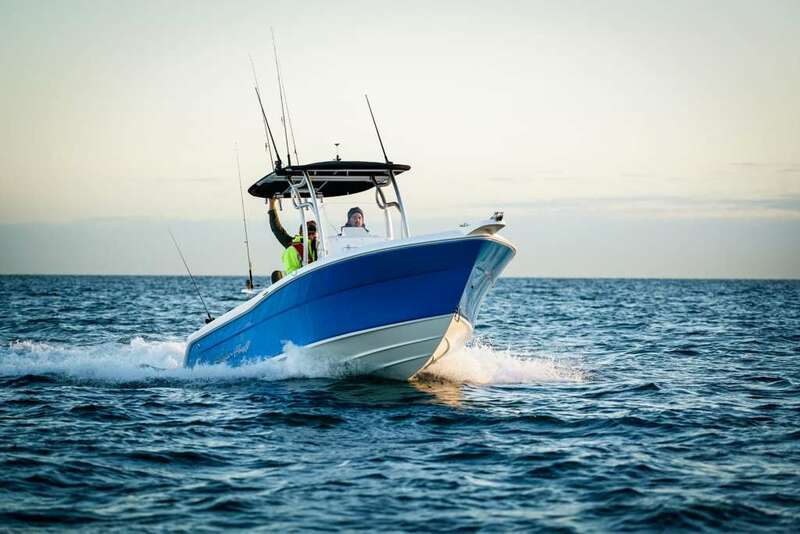 This makes a cat a better choice and the Sailfish 2800 Platinum is one of the finest cat hulls to drive. Turns are predictable and smooth at most speeds. We headed offshore in a reasonably choppy sea and found the hull cut through most of the chop. 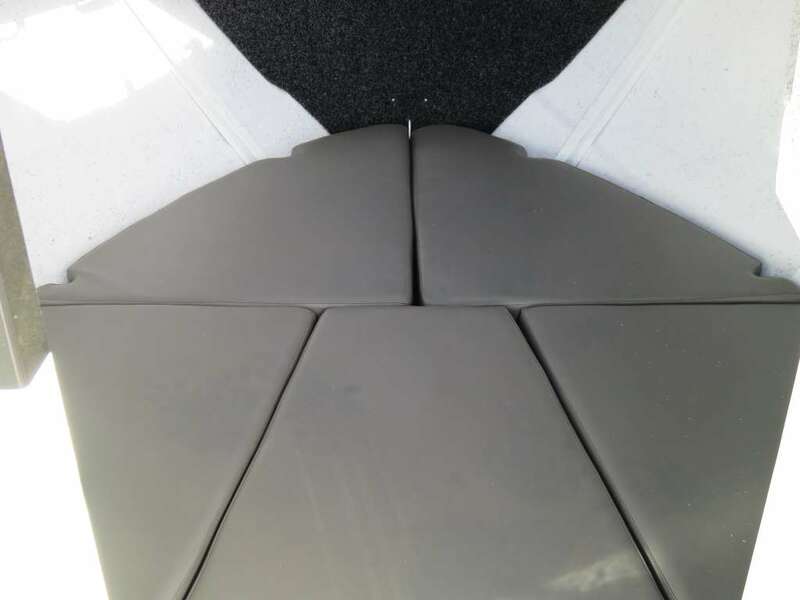 There sometimes is a tendency for the hulls to tip from one to the other but once you have mastered setting up the trim correctly this is a minor point. I did notice water left the hull quite perpendicular so game rods in the gunwales rod holders did cop some spray. The only spray in the cockpit on the test day was reflected off the game reels. The window also stayed mostly dry. 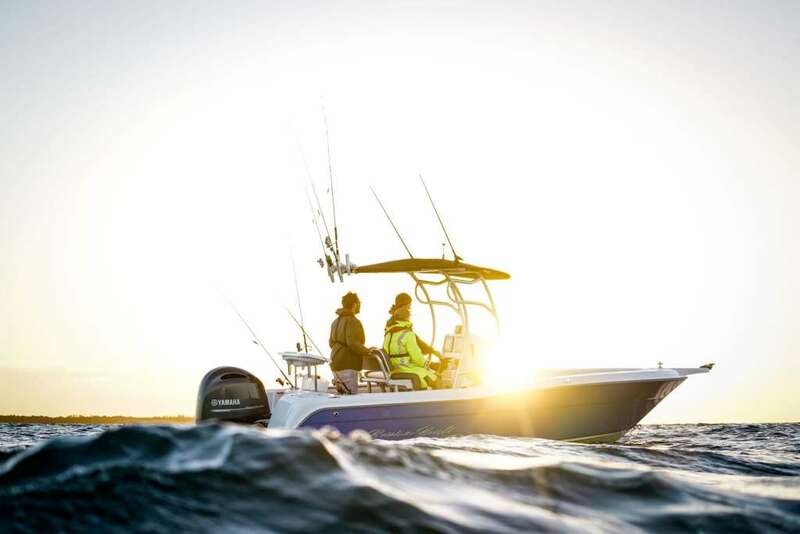 For keen game fishermen the ability of having a comfortable boat that you can tow anywhere to chase game fish is a must. 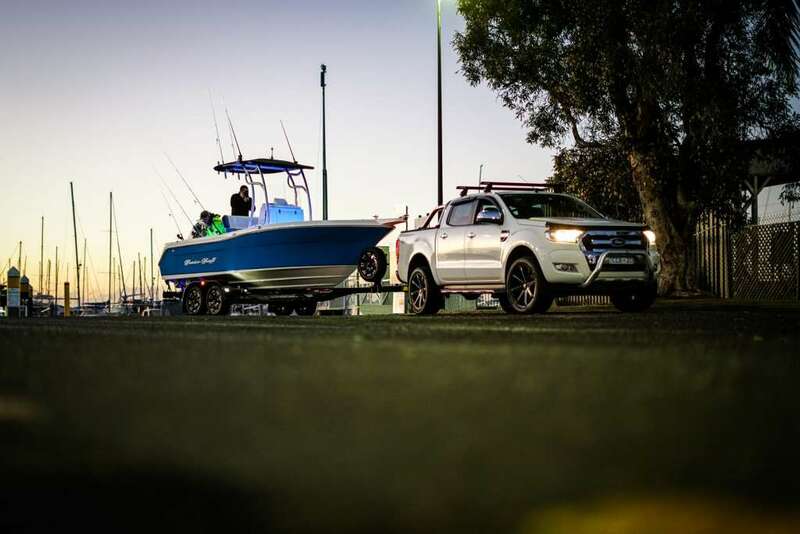 The Sailfish 2800 Platinum we tested sat on a triple axle trailer and was towed with a Dodge RAM 2500. Anything smaller than this probably won’t cut it, so you’re looking for a truck at the least. 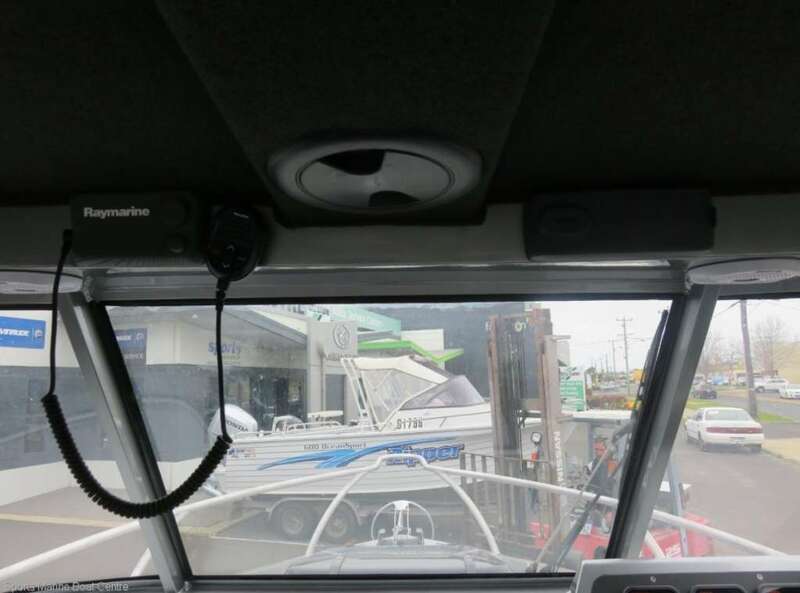 The trailer is perfect for this boat and designed especially for it. It has scaffolding through the centre to make it easy to get the boat on the first time, every time. 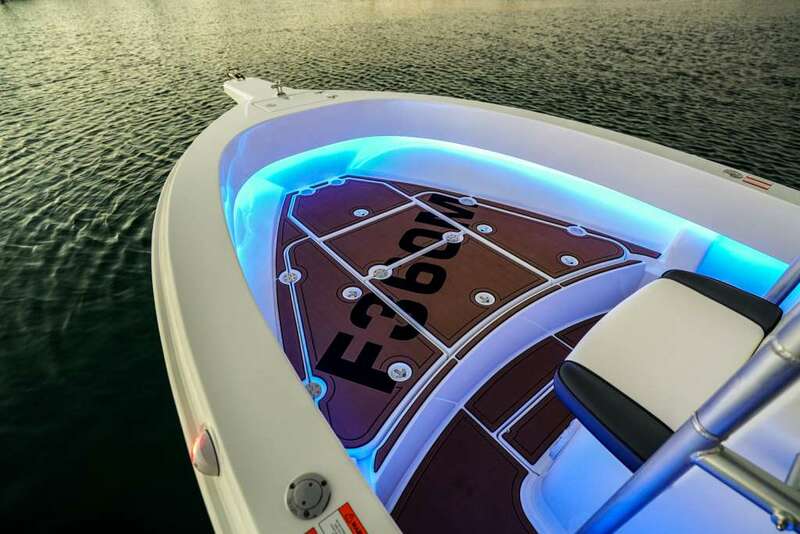 This is absolutely a quality boat and one I’d be more than happy to have in my garage. It’s trailerable and for me that’s a huge bonus. It’s got masses of deck space (another tick) and is versatile enough to keep everyone happy. 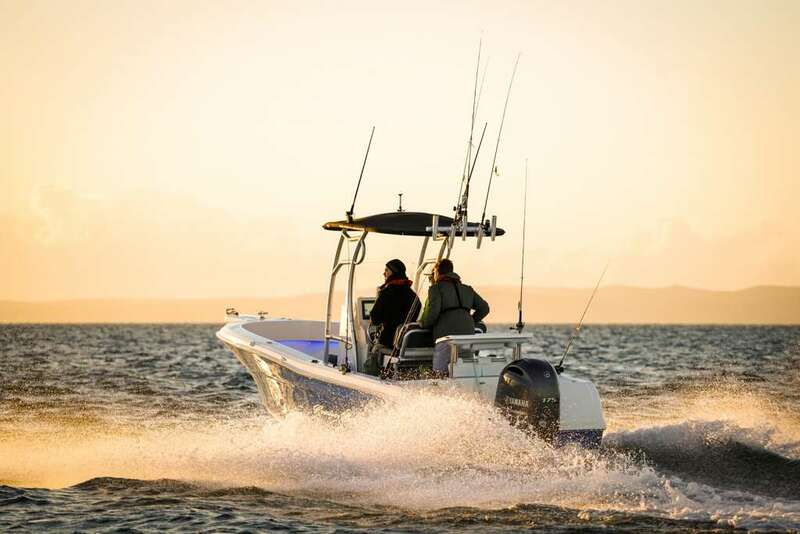 In this guise it’s aimed at serious anglers who need the extras to enable family and friends to have fun on the water too. Extreme 645 Game King has just arrived! BUILT TOUGH AS NAILS, WITH FLOODING KEEL OFFERING BRILLIANT STABILITY AT REST, DEEP VEE HULL FOR GREAT RIDE AND PATENTED HULL DESIGN WHICH GIVES YOU A HULL THAT CAN TURN VERY SHARP, SUFFER NO CAVITATION AND WONT FALL OVER TO ONE SIDE WITH MOVEMENT OF PEOPLE, KILL TANKS, IN BUILT BOUYANCY TANKS & MORE. 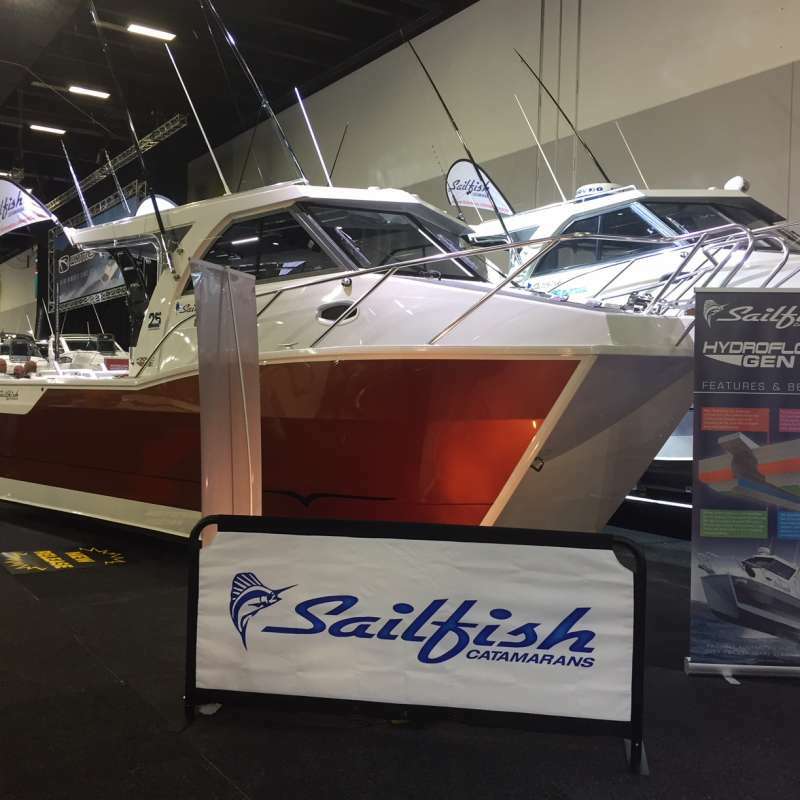 THESE BOATS HAVE WON SO MANY AWARDS IN NEW ZEALAND AND 1 LOOK AND YOU CAN SEE WHY, THIS BOAT IS NOW AVAILABLE IN OUR BUNBURY YARD. 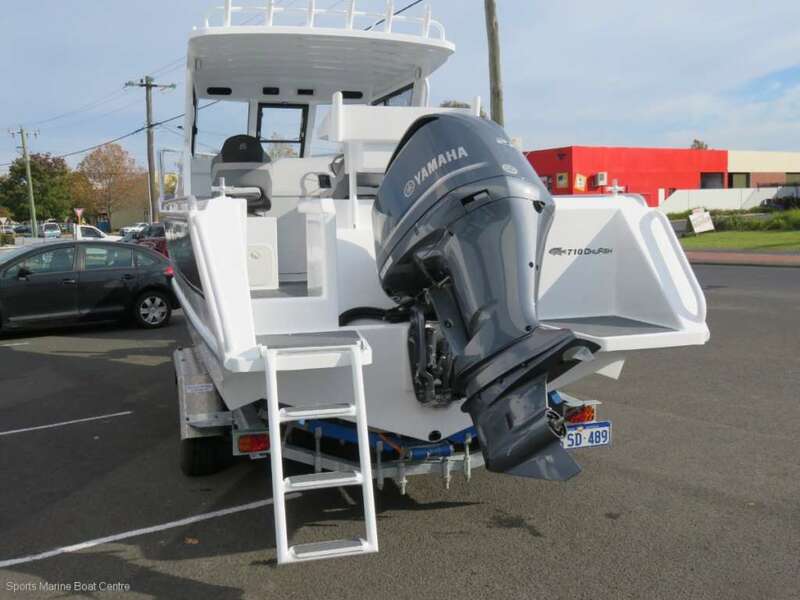 WE’VE TAKEN A STANDARD BOAT WHICH INCLUDES AS STANDARD TRIM TABS, DUAL BATTERYS, VHF RADIO, NAVIGATION LIGHTS, LIVE BAIT TANK AND ADDED THESE UPGRADES: BAITBOARD, LADDER, DECK WASH, 2 X DIVE BOTTLE RACKS UNDER SEATING, STRESS FREE DRUM ANCHOR WINCH, 190 LITRE FUEL TANK, WINDSCREEN WIPER, FUSION STEREO, SIMRAD NSS8 SOUNDER/GPS AND REAR BIMINI. BRILLIANT LOOKING WITH ALL BLACK HULL AND SILVER TOP. 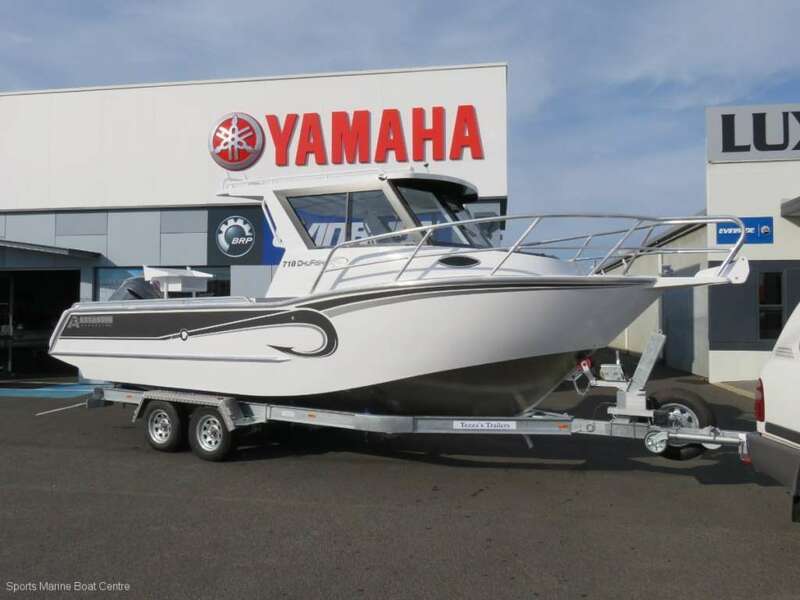 THESE BOATS ARE AMAZING, CHECK IT OUT NOW! 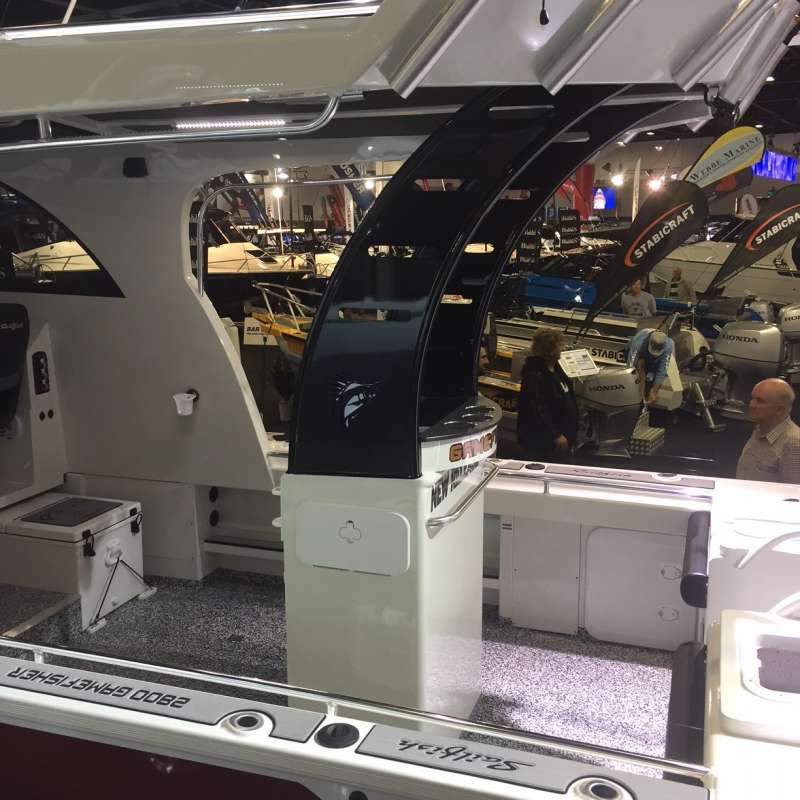 The composite build process focusses upon two key areas of the hull, the transom and the sub floor system. 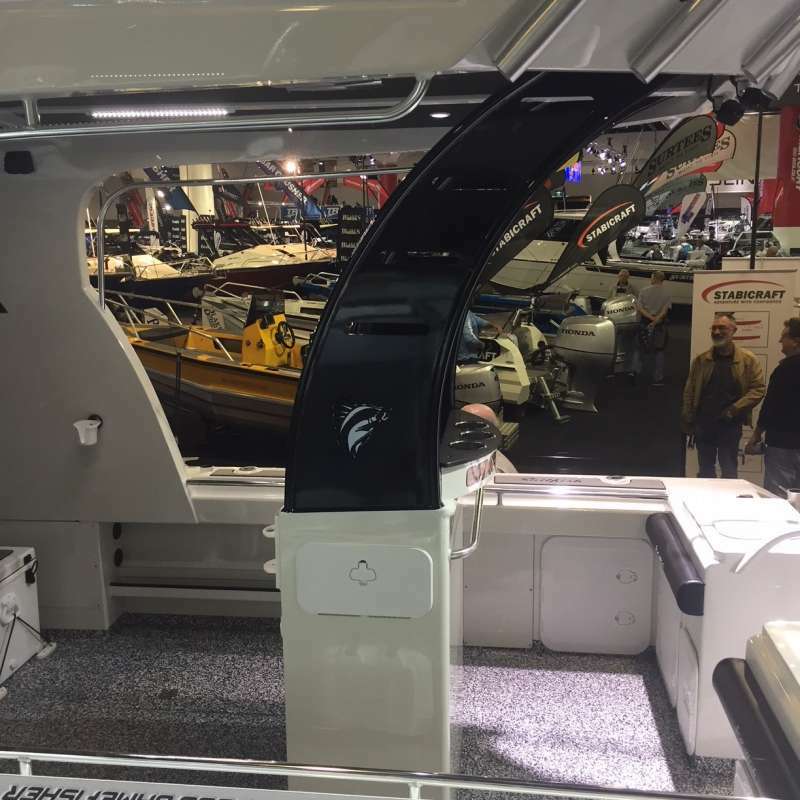 All Cruise Craft models now have a full composite, rot free transom. 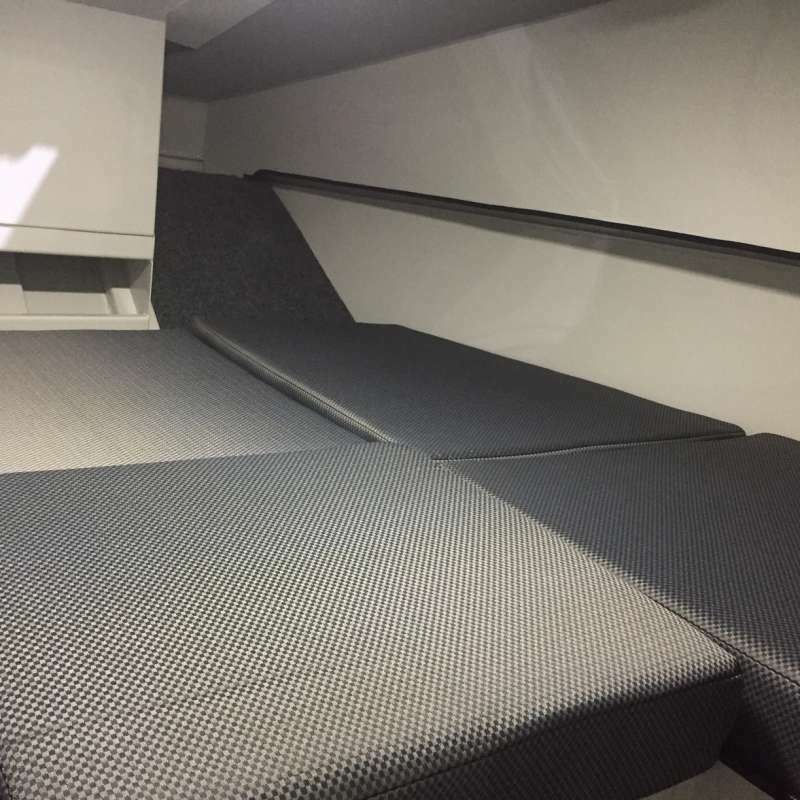 This is manufactured by laying up panels to create a thick sheet of composite material to suit each specific Cruise Craft model.In the sub floor, the Cruise Craft developed Matrix Grid Construction process is employed. 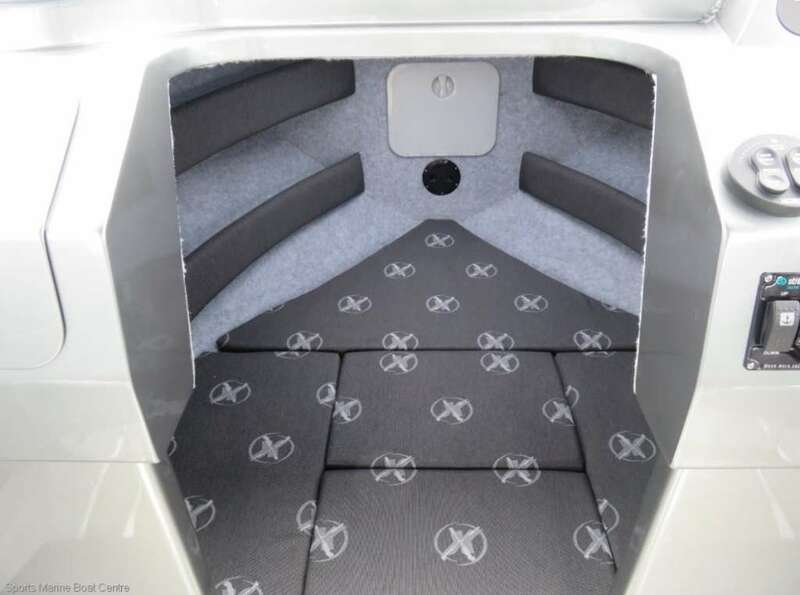 Formed from composite material to profile the cavity between the inside of the hull and underside of the fully moulded fibreglass floor liner, the sub-floor composite matrix provides rigidity and support for both the cockpit floor and the hull itself. In addition to eliminating timber from the sub floor area, the Matrix Grid Construction also produces a stronger hull. 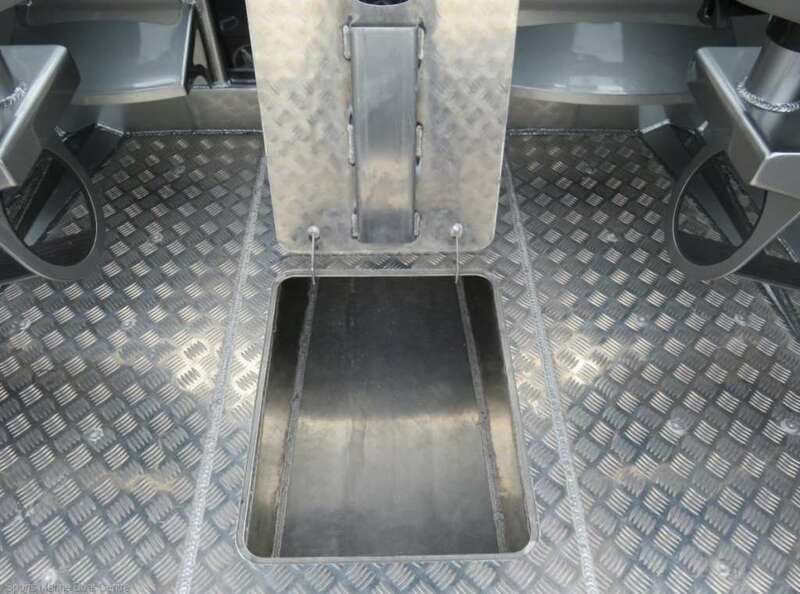 Once the sub floor Matrix Grid Construction is fitted, the void between the one piece full length fibreglass moulded floor liner and the hull is filled with foam. 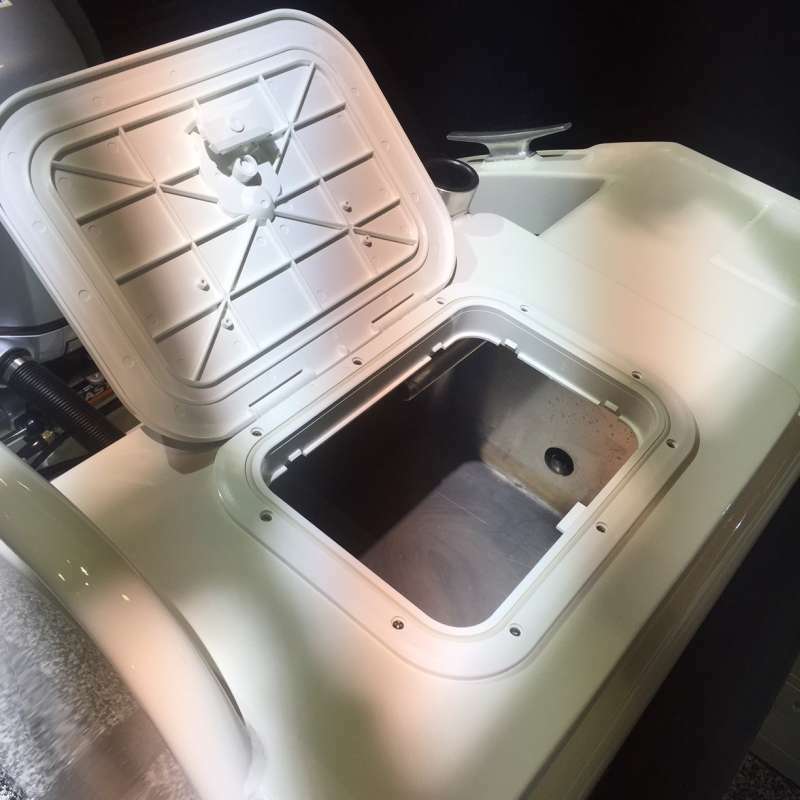 The foam flotation has been a feature of Cruise Craft boats since 2005. 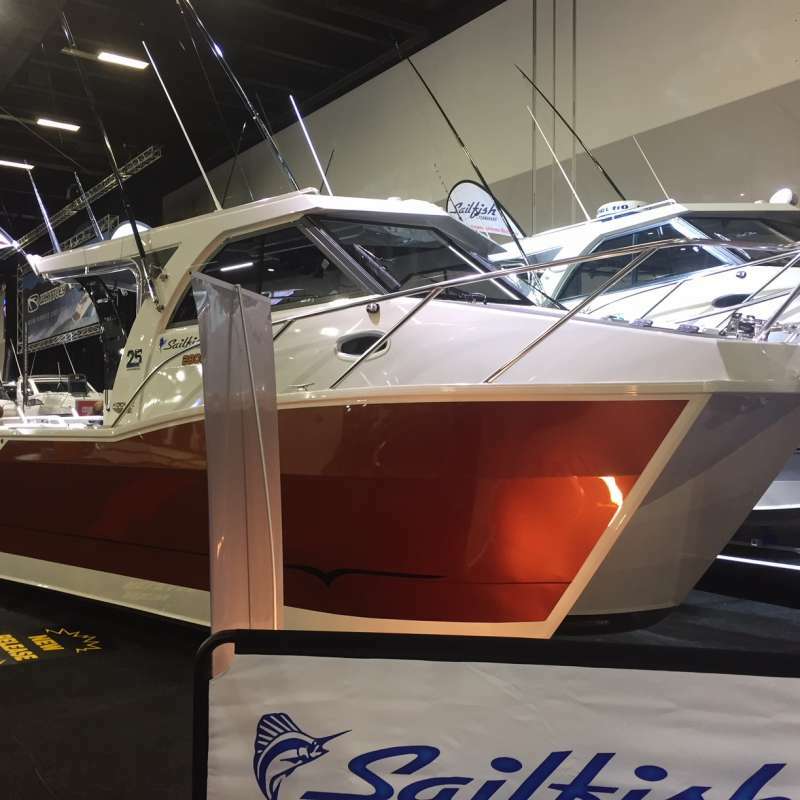 “At Cruise Craft we continually strive to deliver a high quality, world class product for our customers,” said Nathan Nichols, Director of Cruise Craft. Working with various suppliers and testing different materials, lamination techniques and thickness of mouldings, test hulls were built and evaluated to assess the performance and durability of the timber free hulls. Ultimately all the hard work paid dividends with timber now totally eliminated from all Cruise Craft hulls.